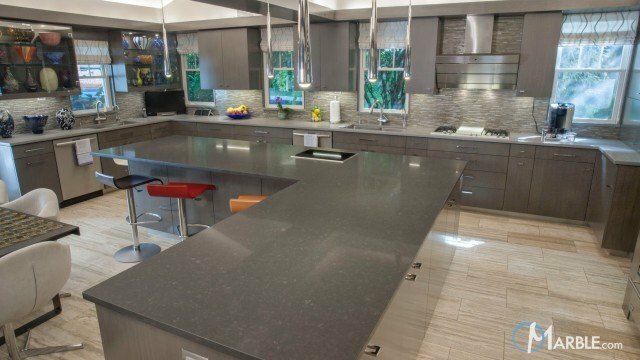 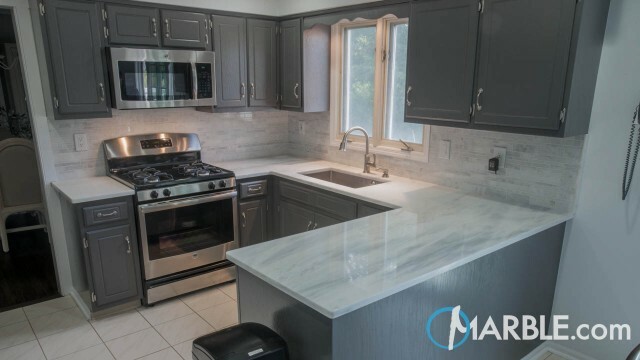 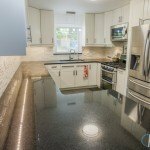 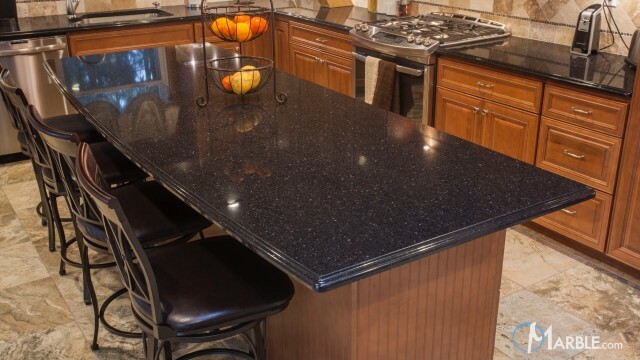 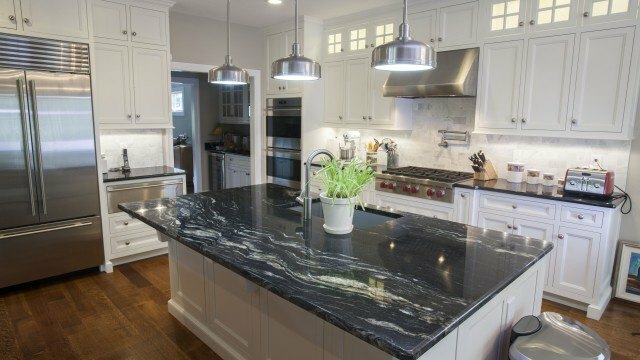 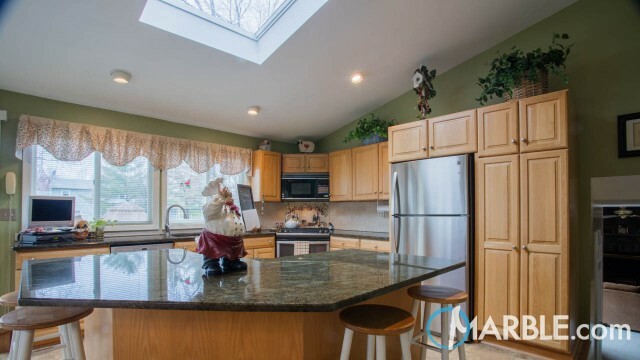 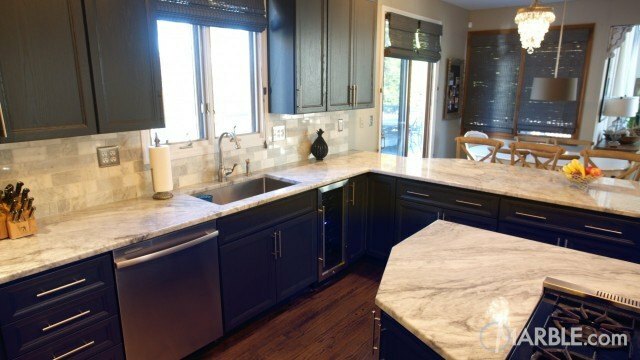 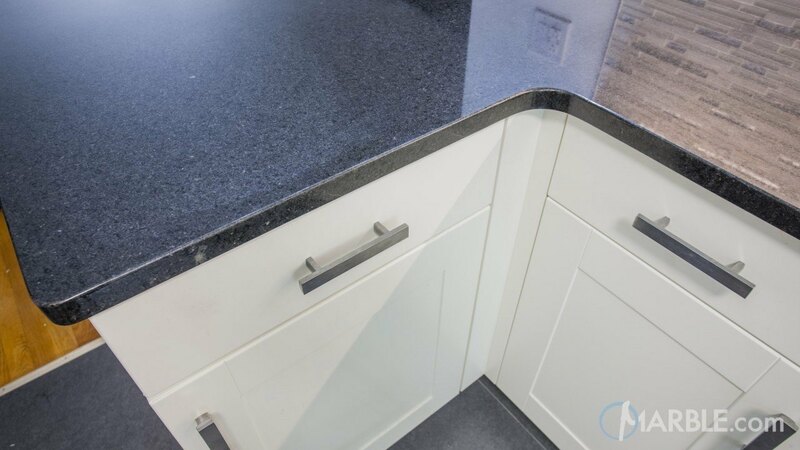 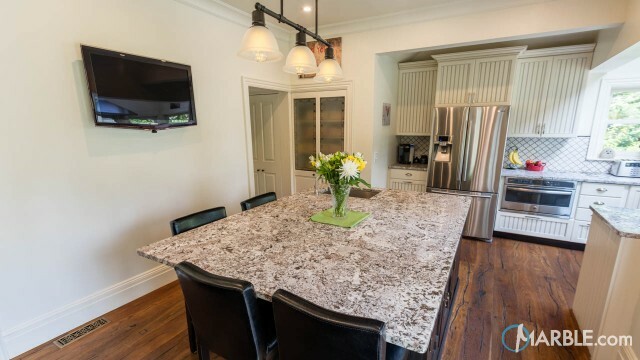 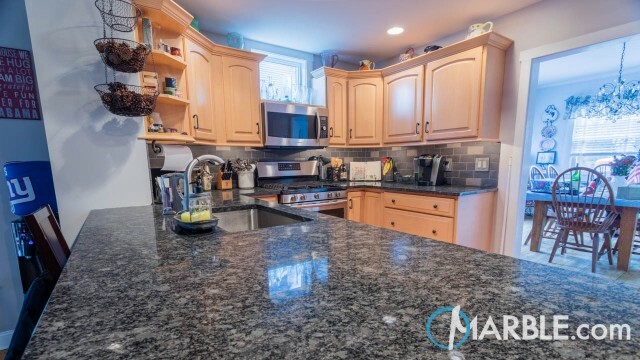 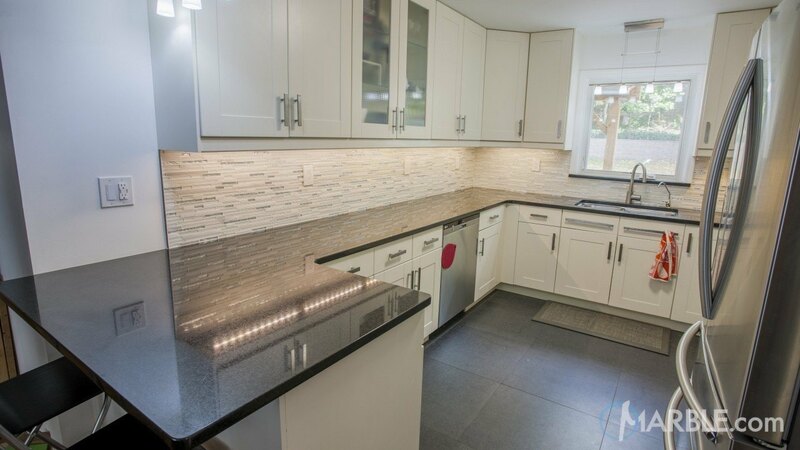 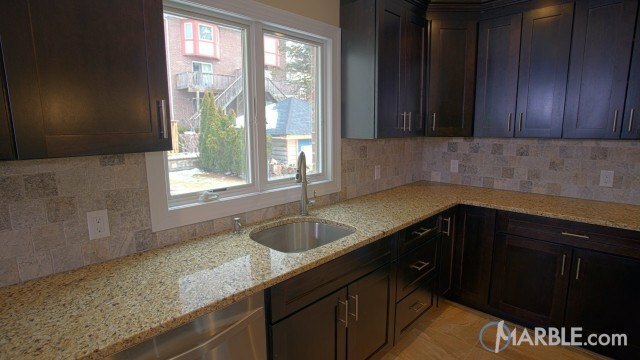 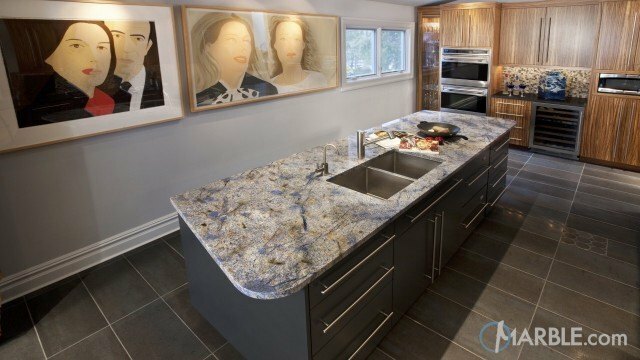 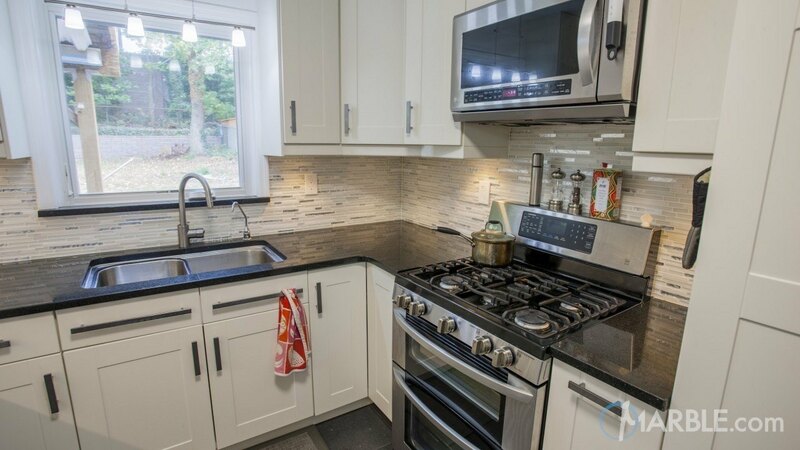 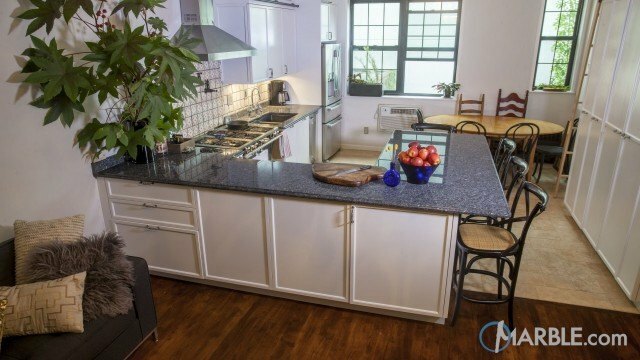 This new kitchen features one of our most popular granites, Black Galaxy. 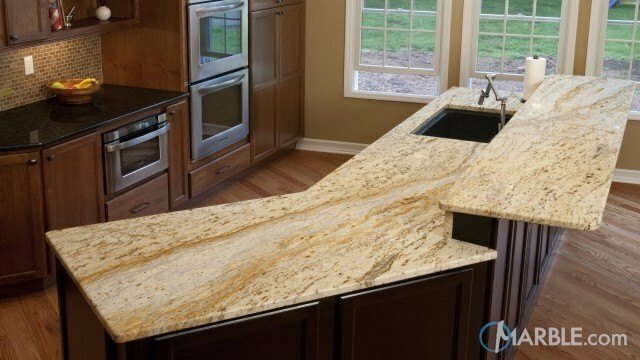 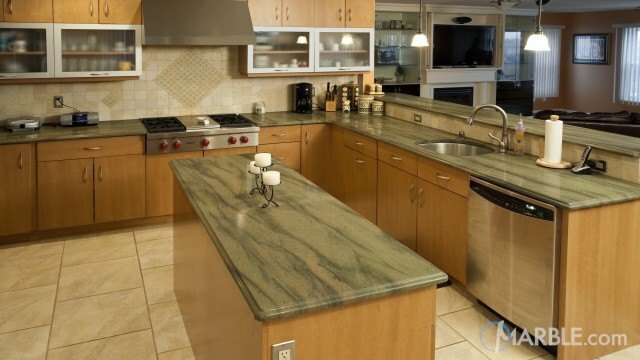 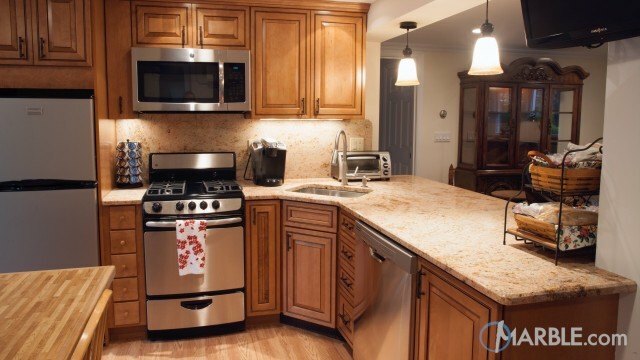 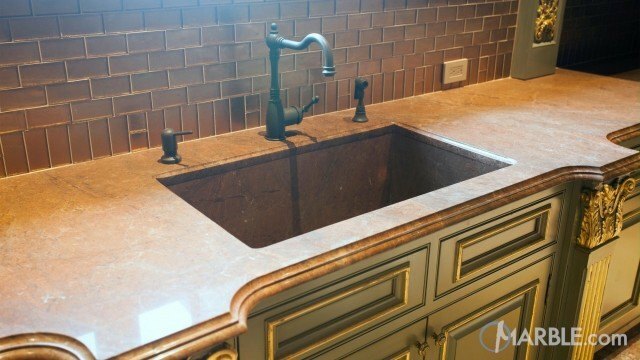 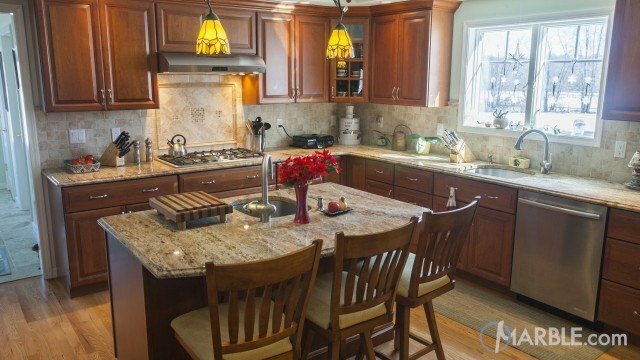 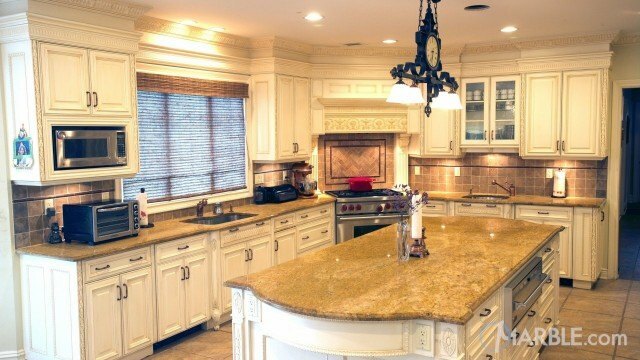 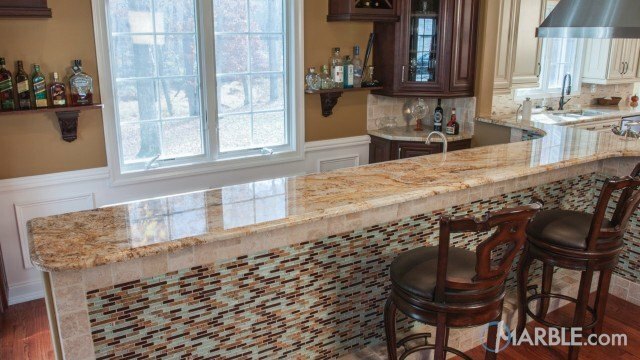 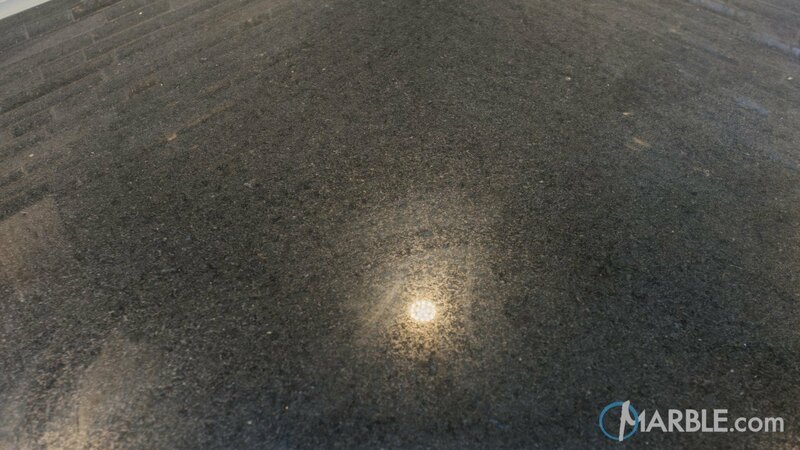 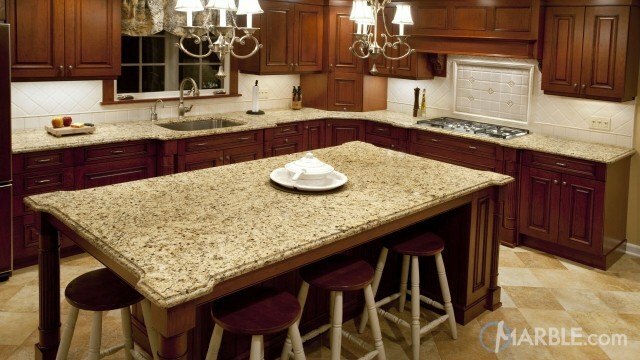 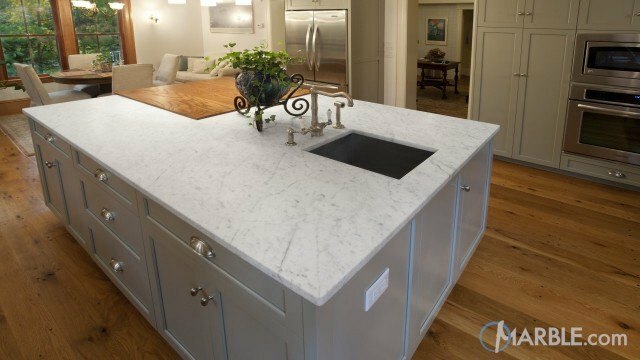 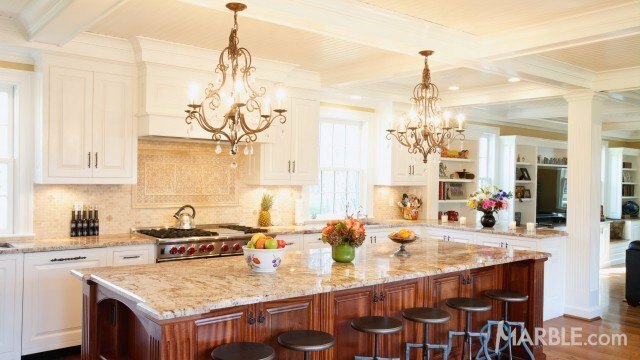 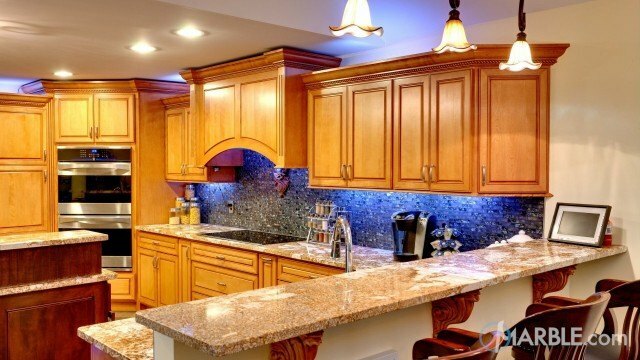 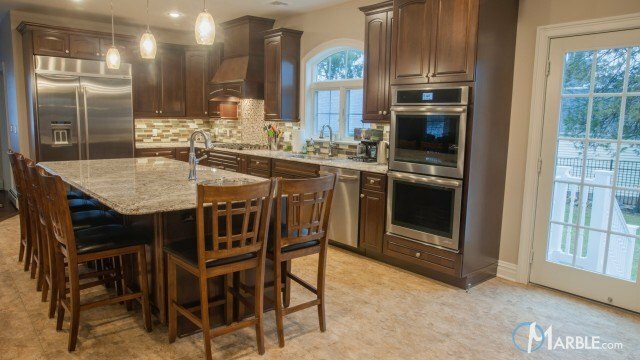 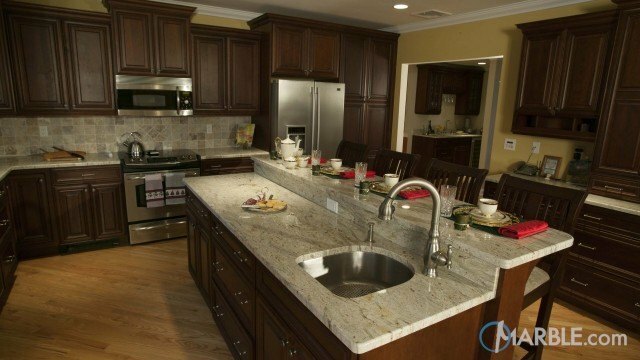 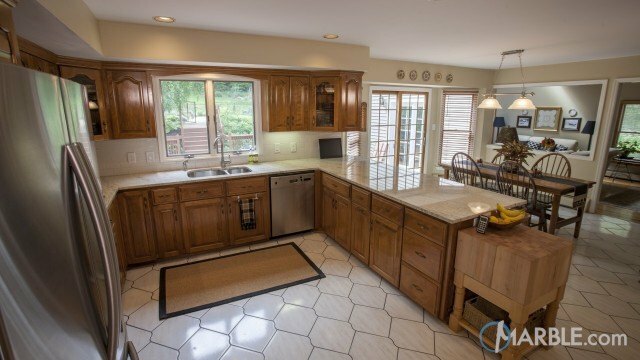 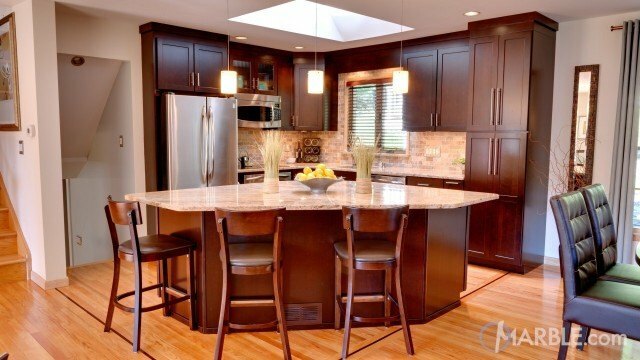 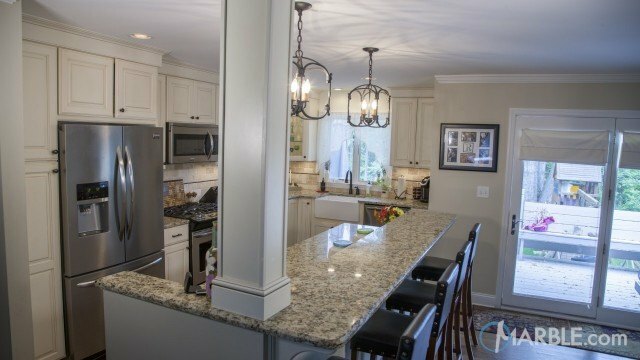 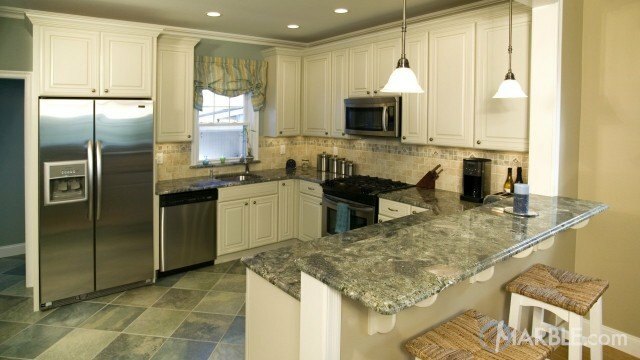 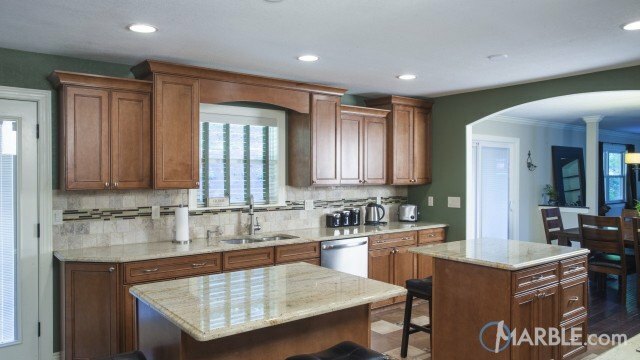 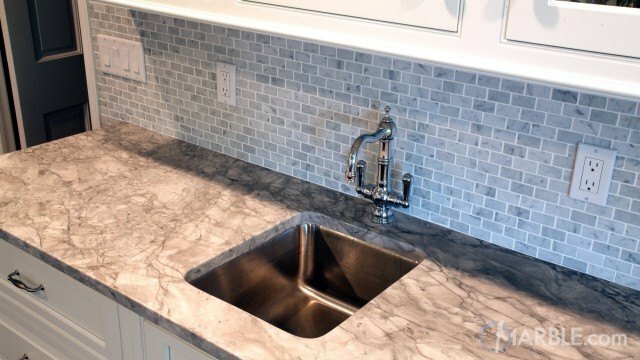 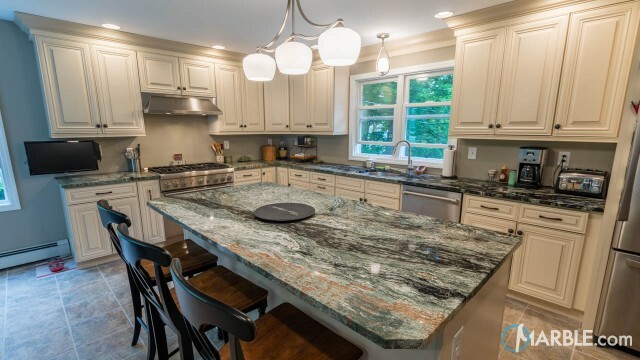 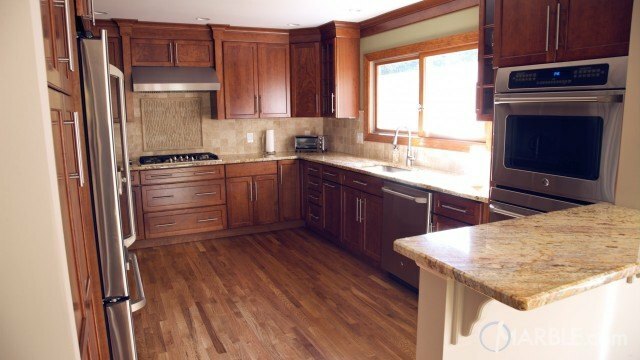 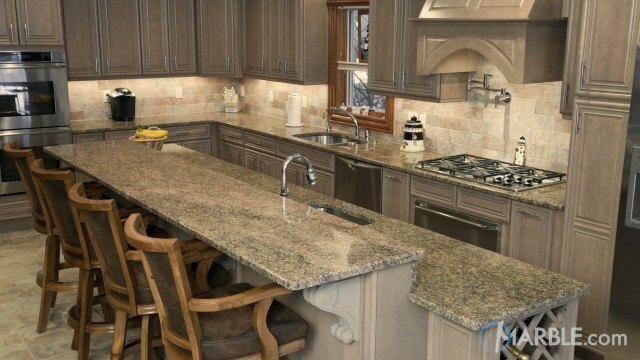 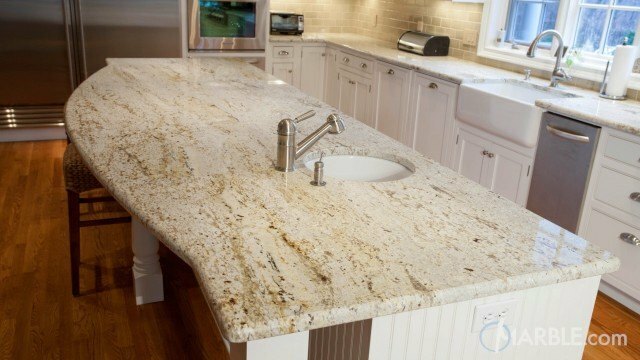 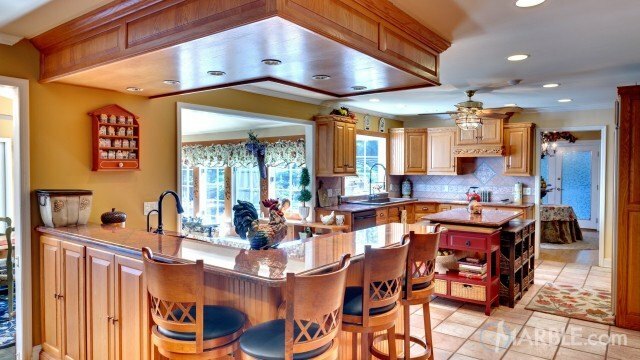 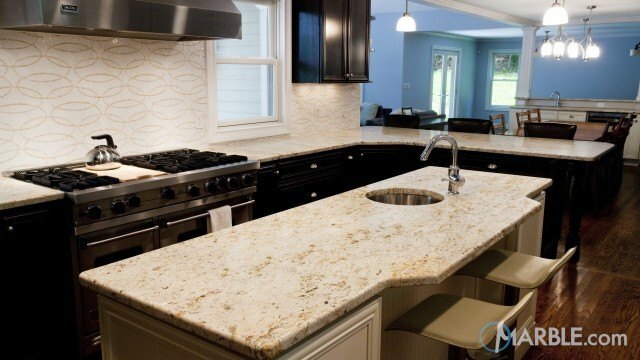 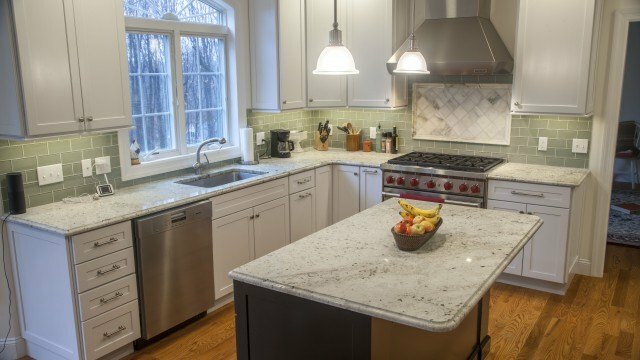 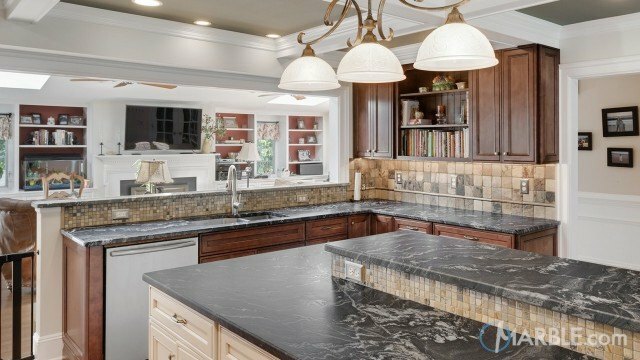 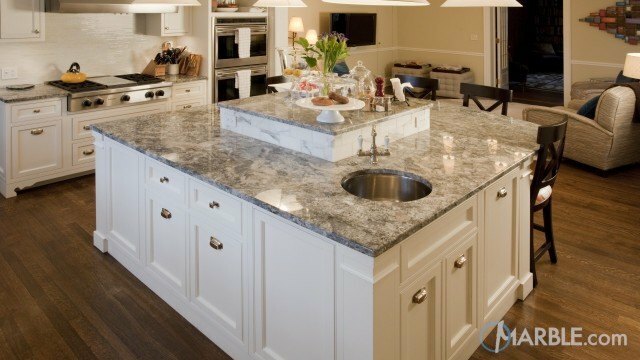 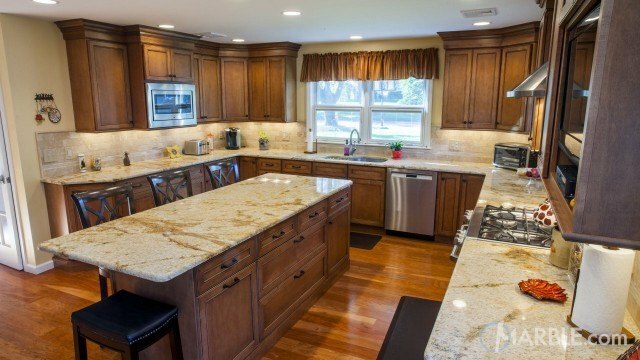 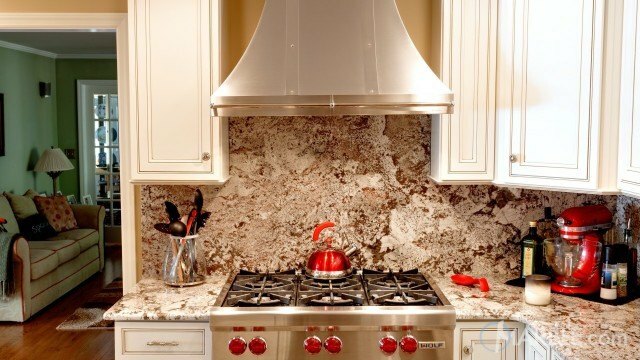 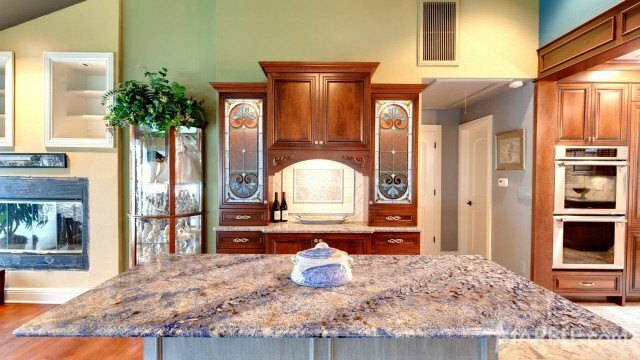 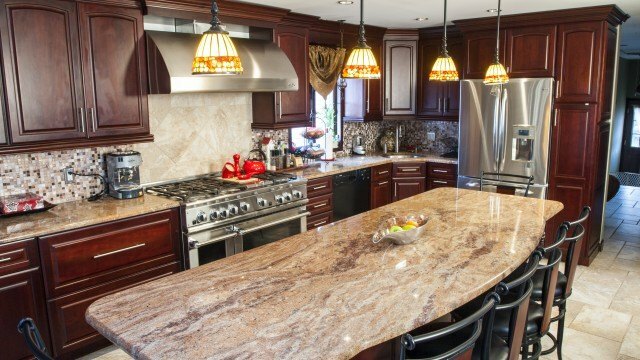 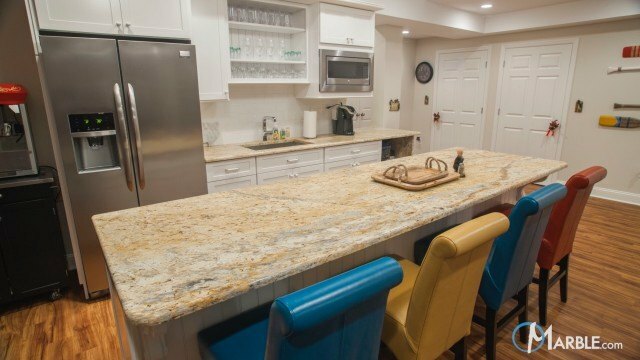 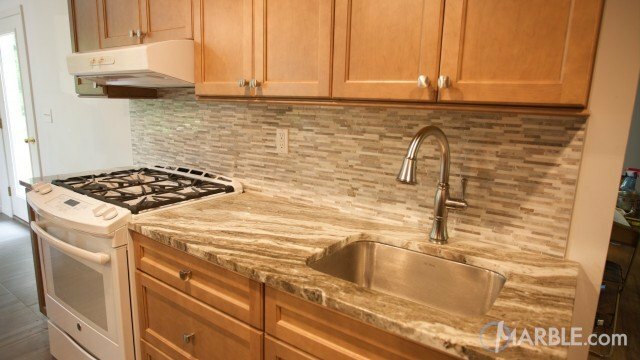 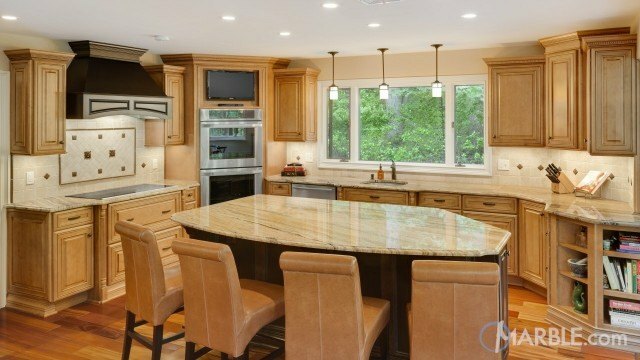 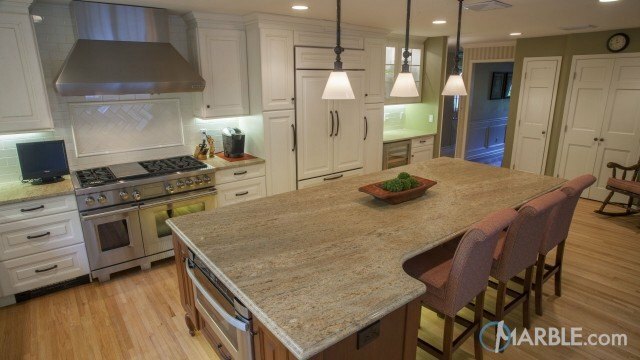 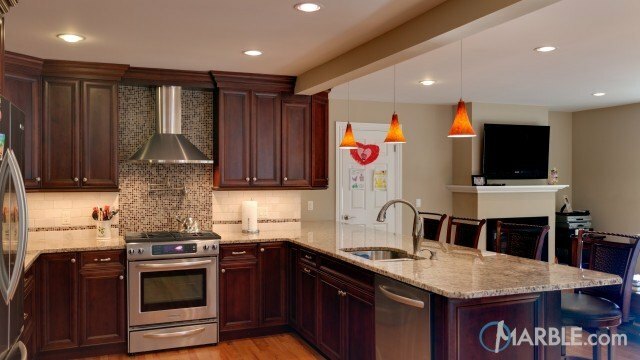 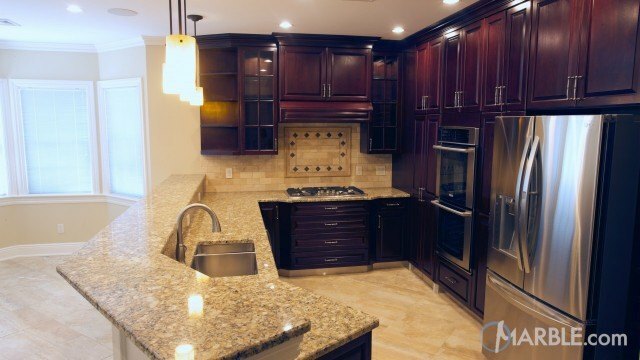 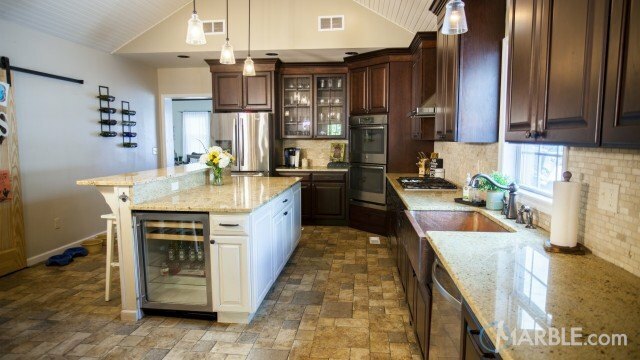 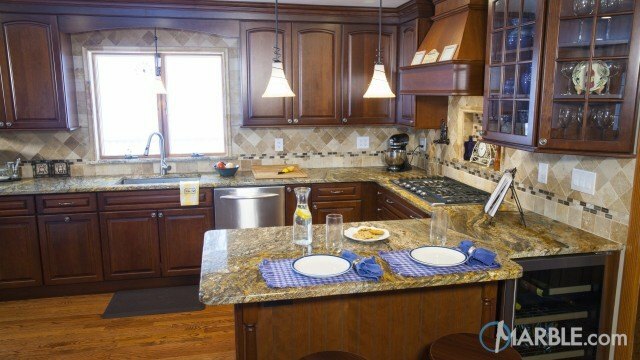 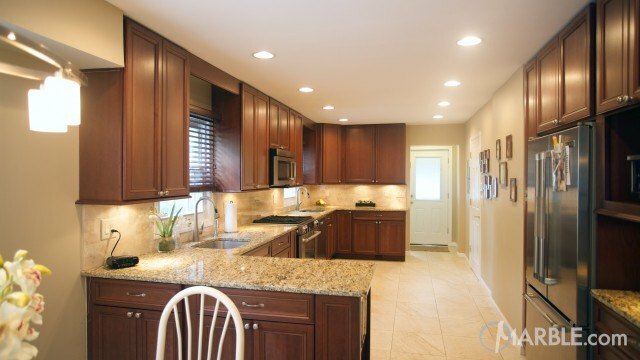 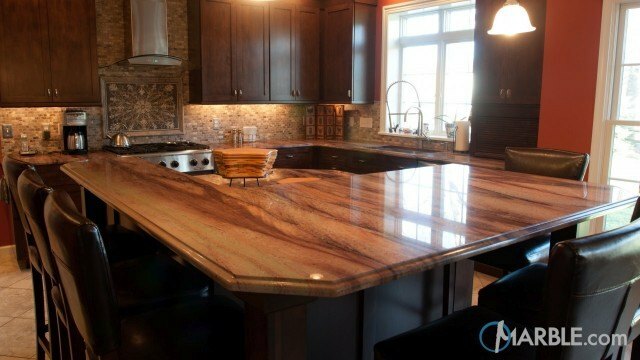 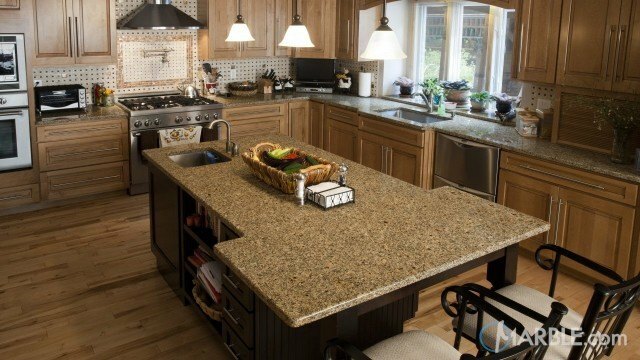 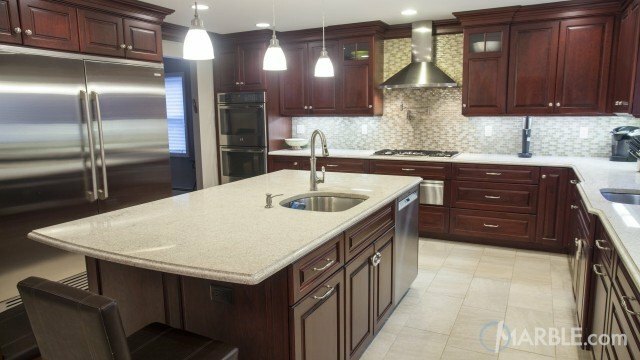 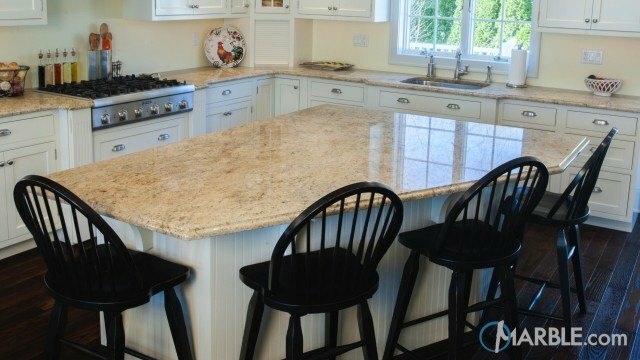 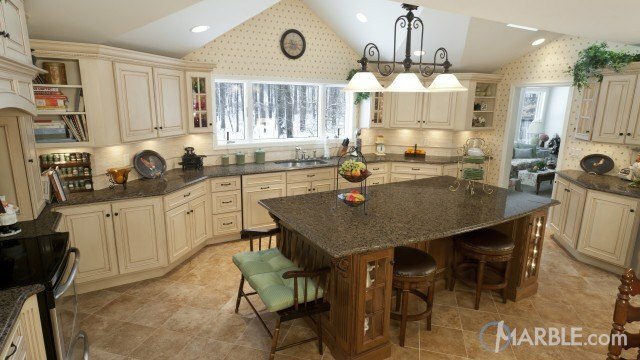 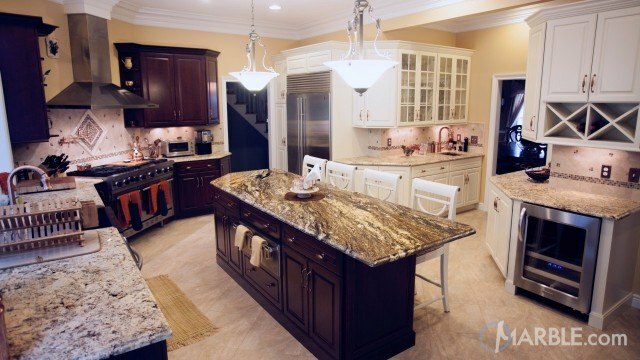 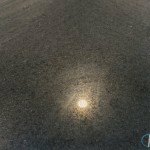 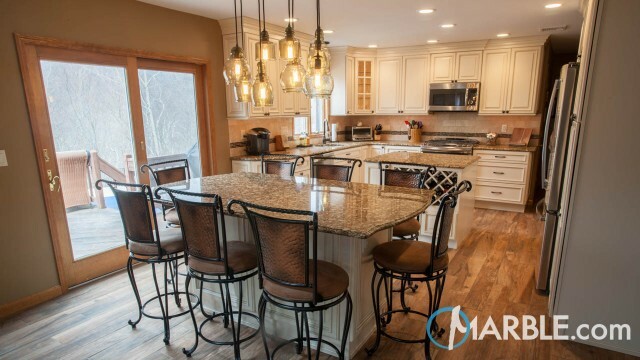 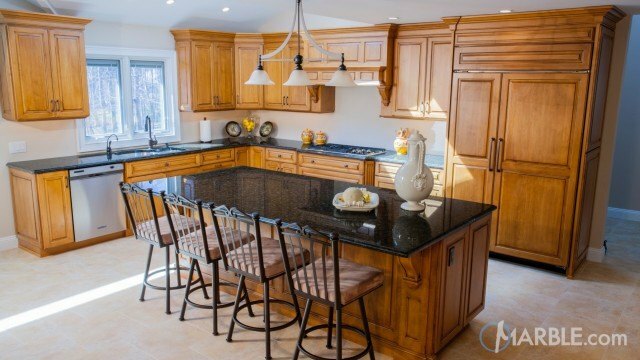 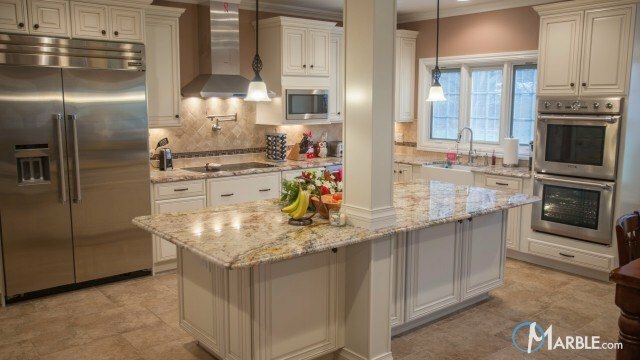 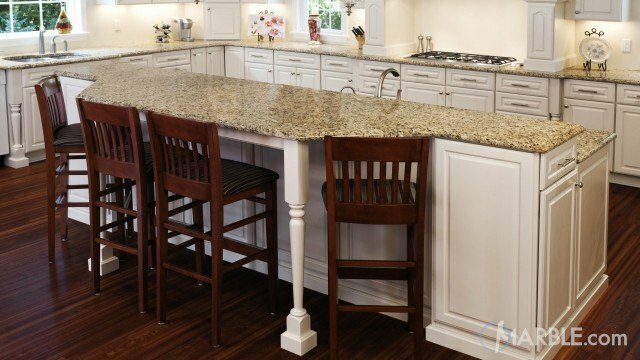 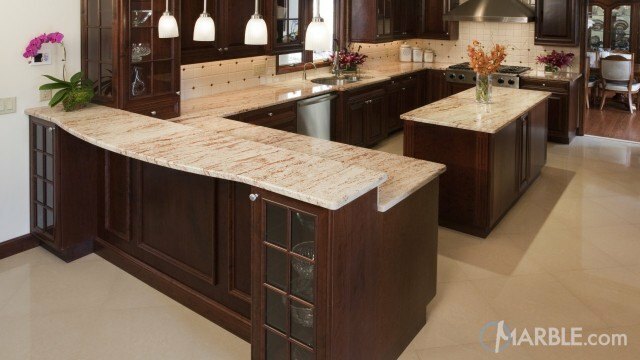 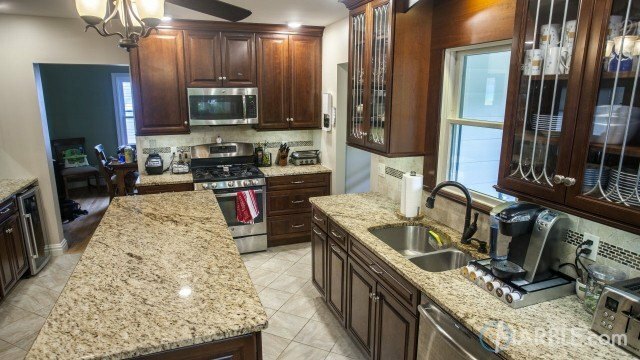 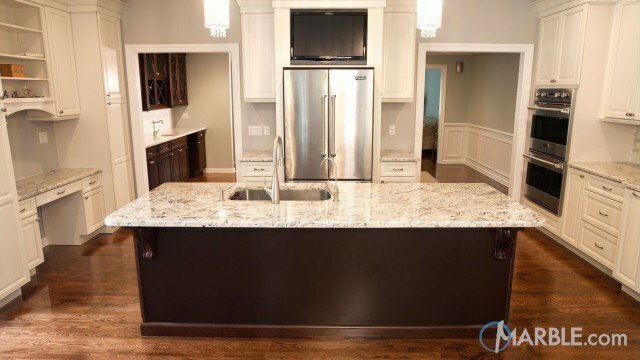 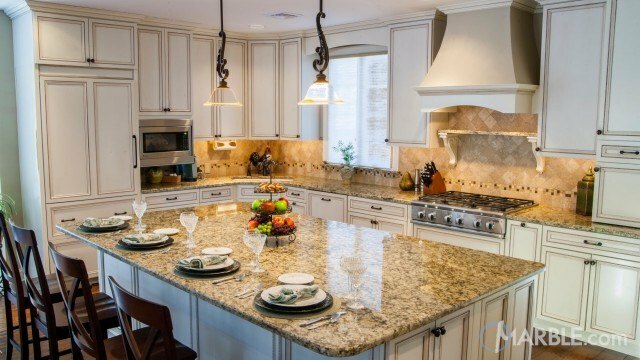 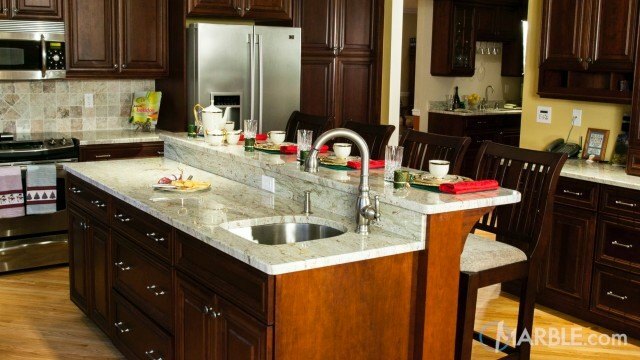 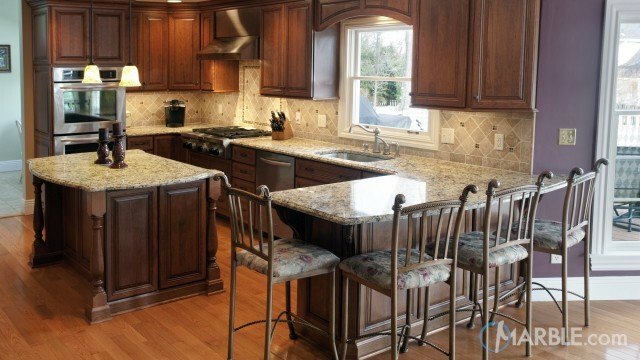 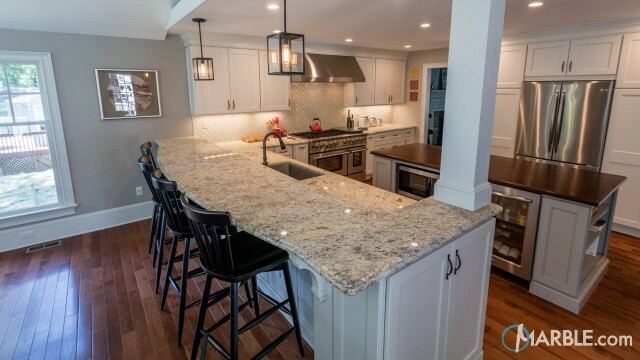 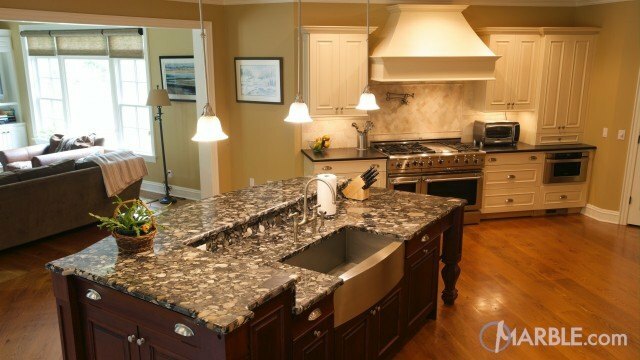 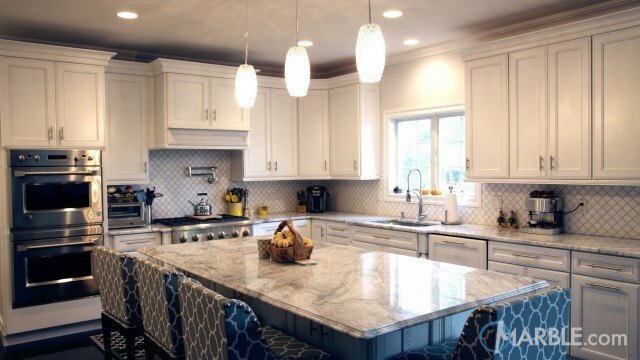 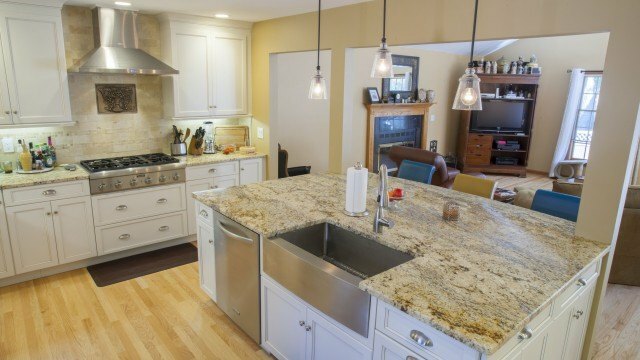 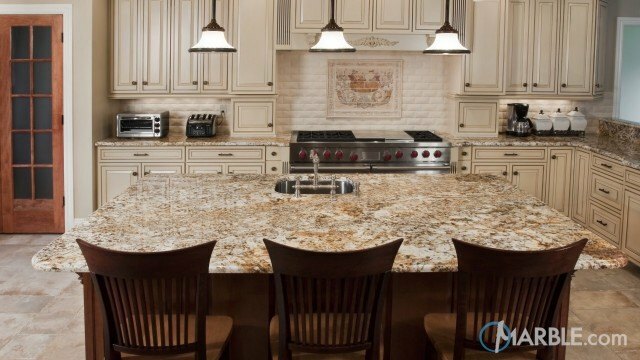 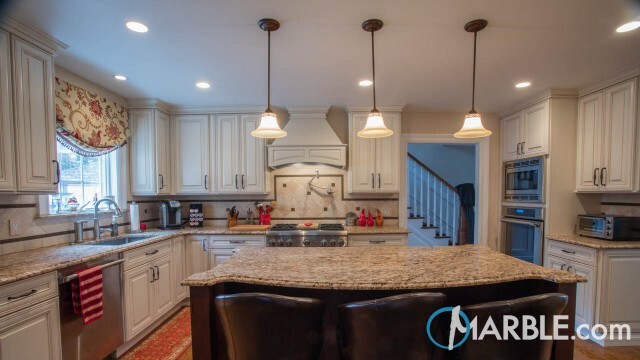 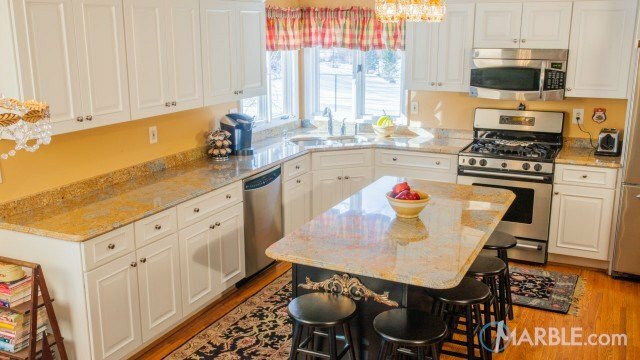 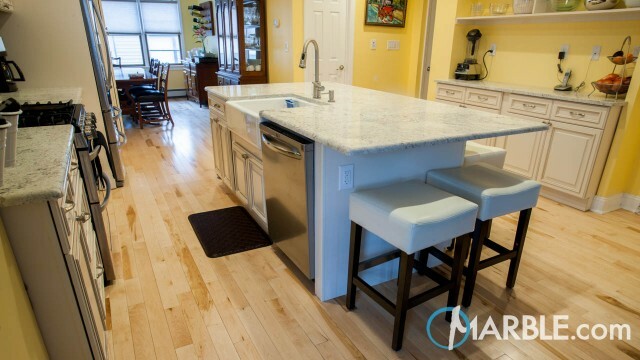 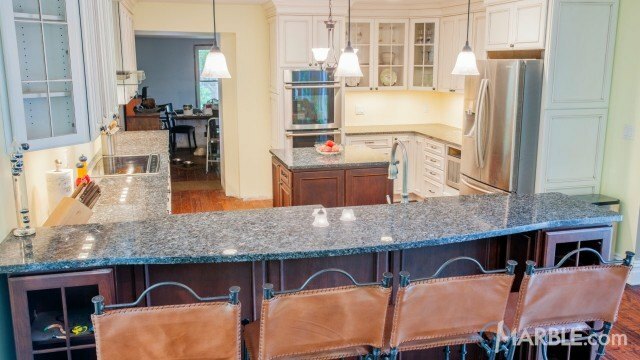 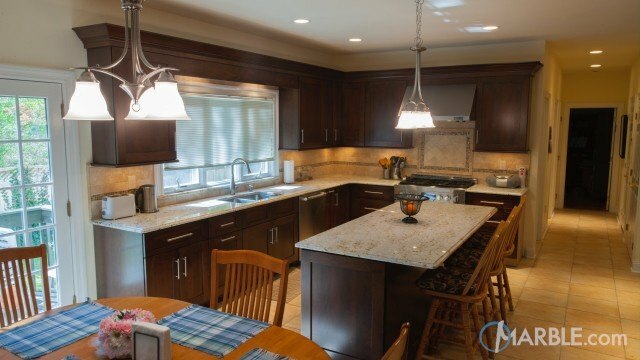 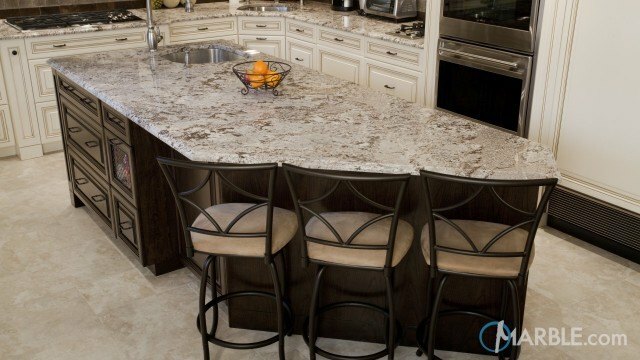 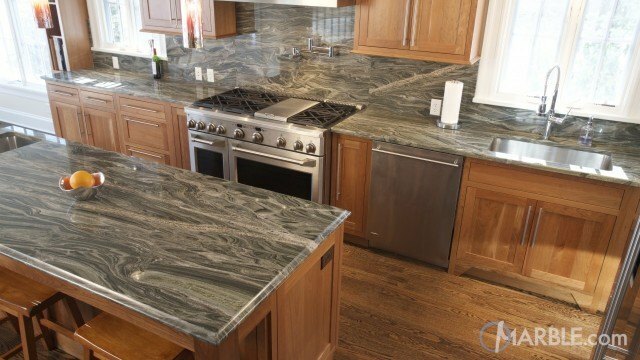 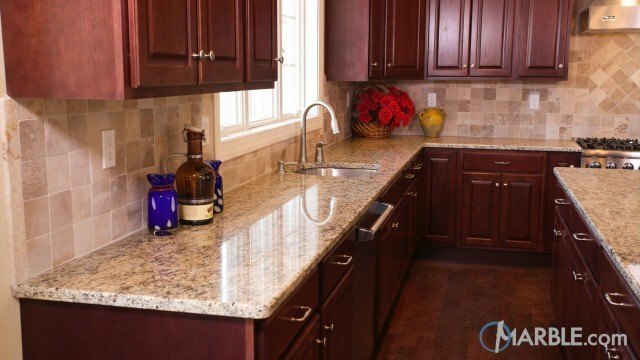 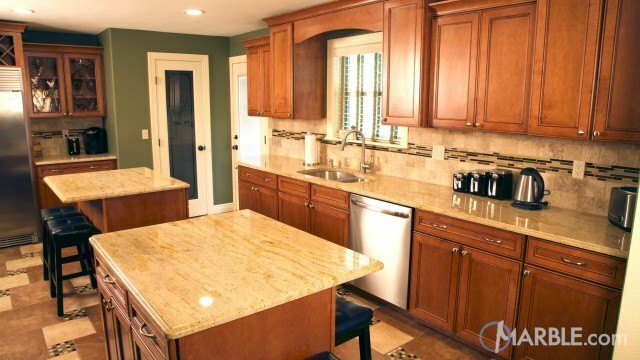 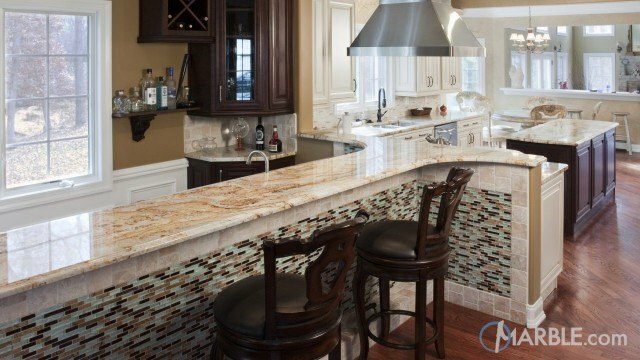 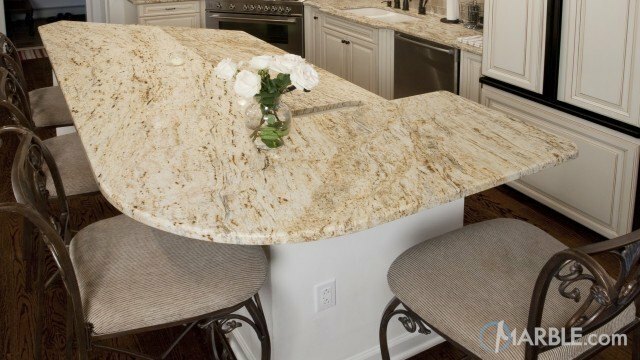 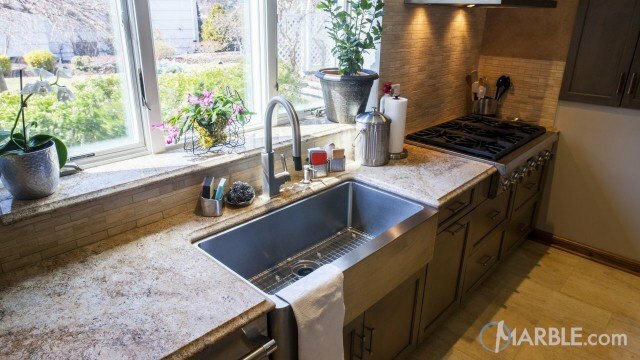 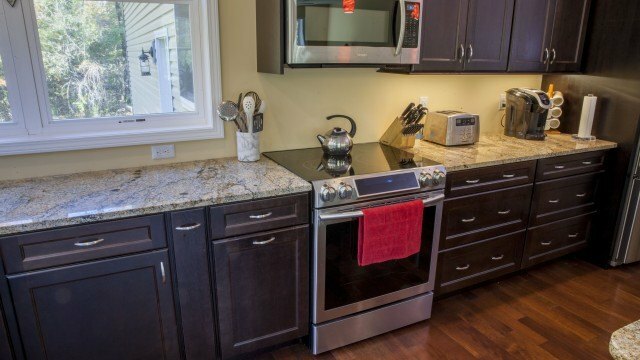 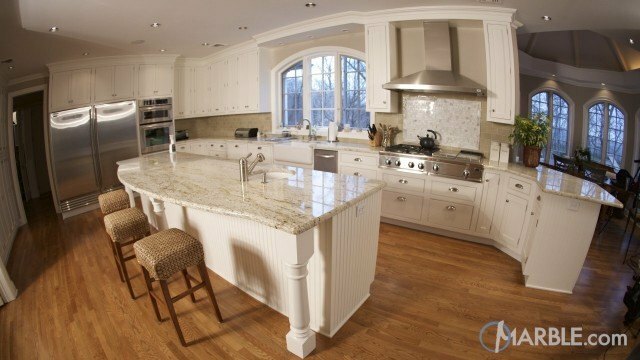 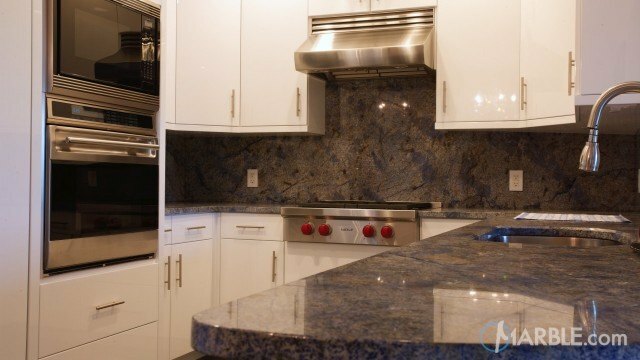 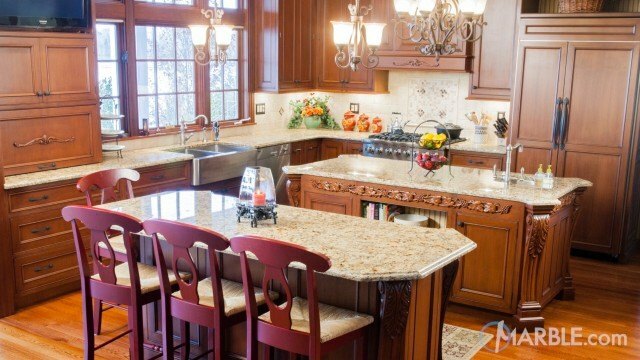 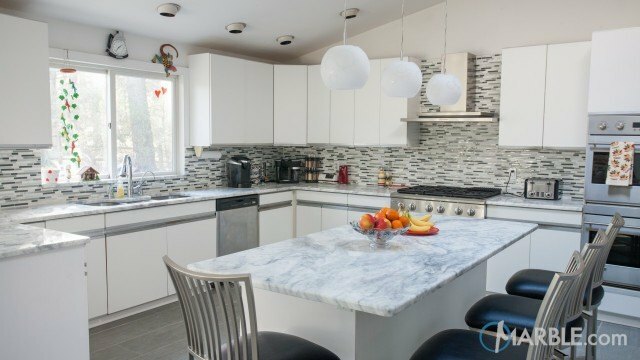 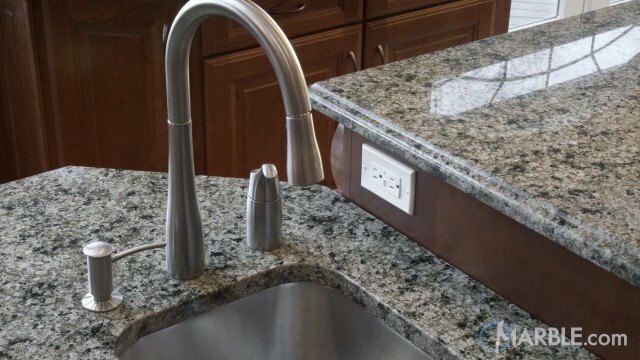 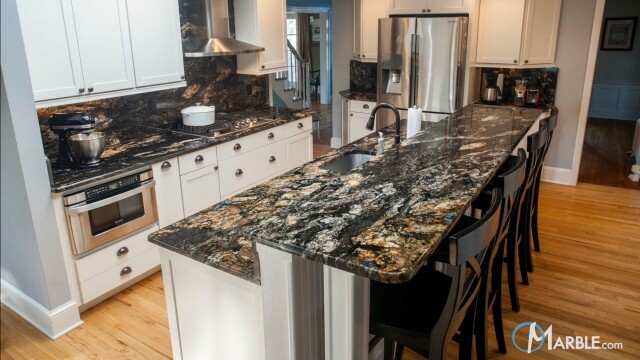 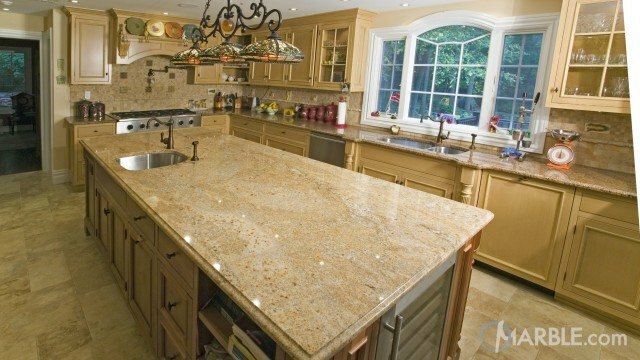 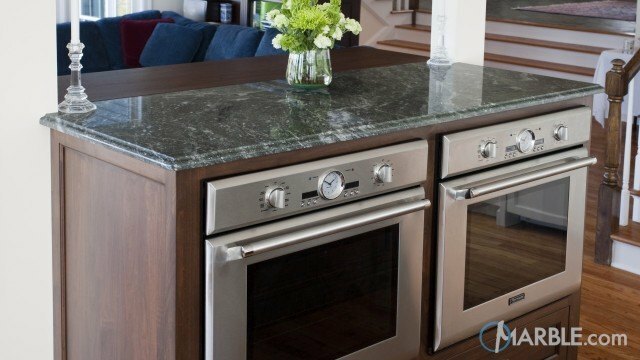 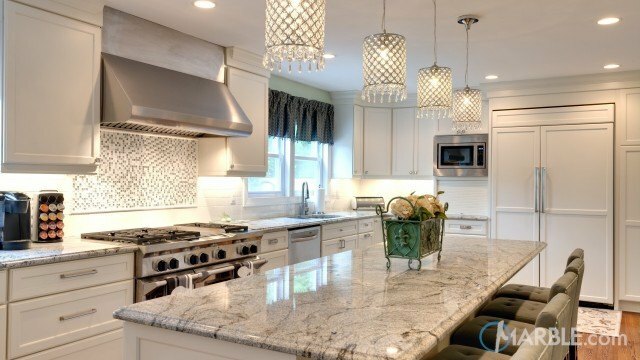 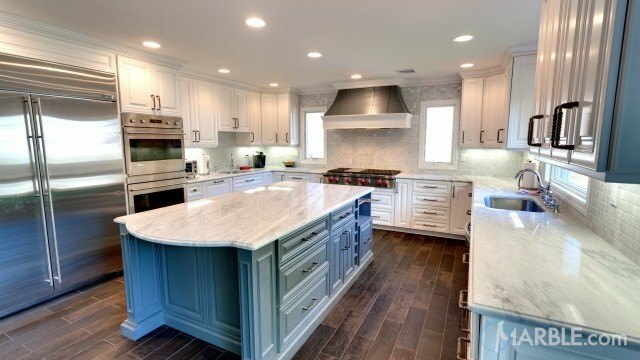 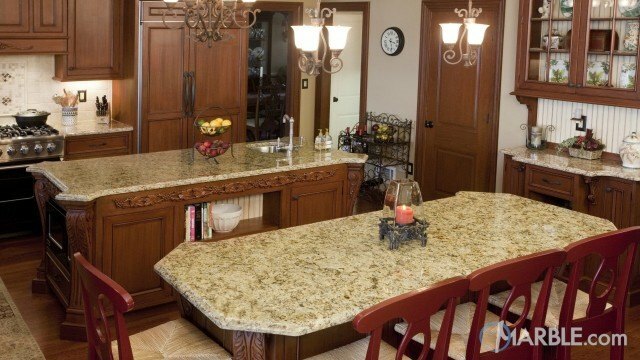 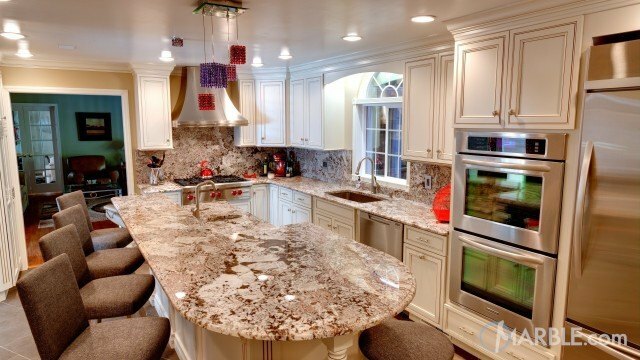 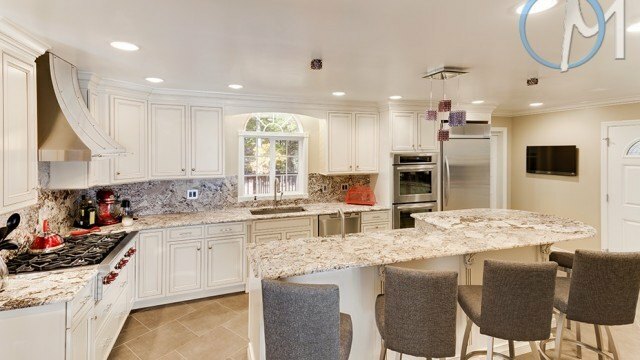 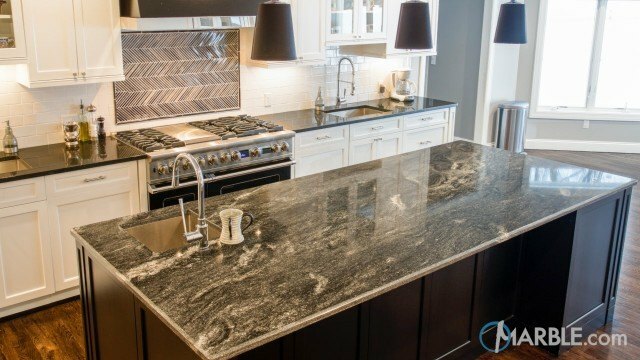 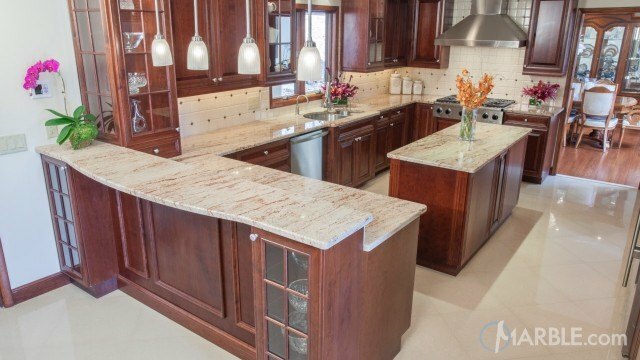 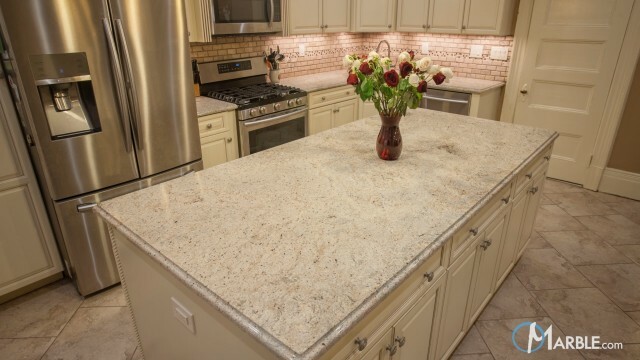 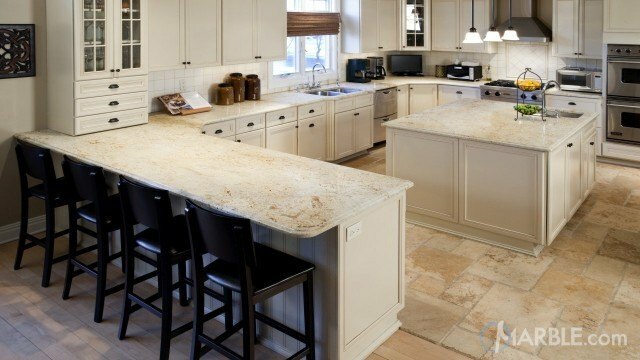 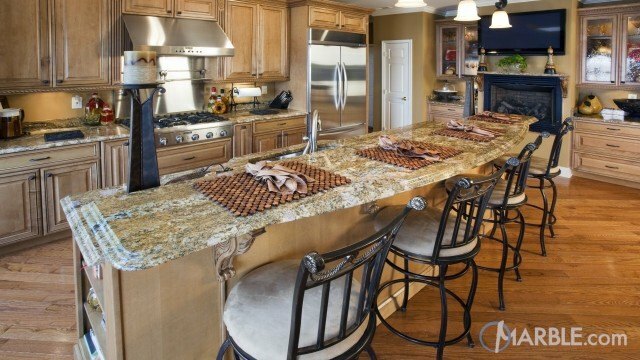 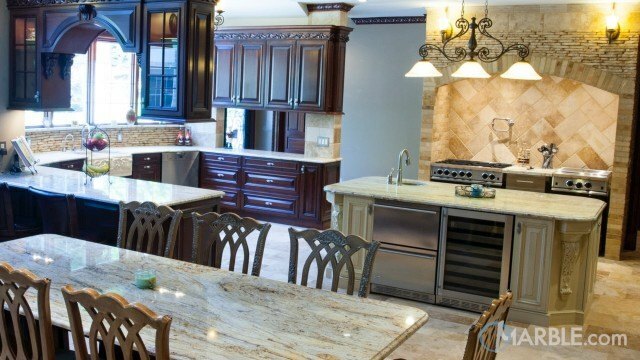 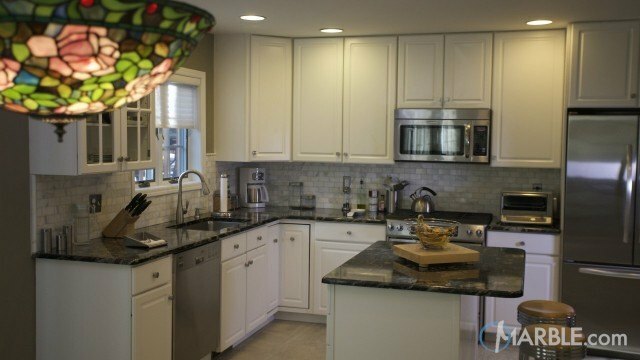 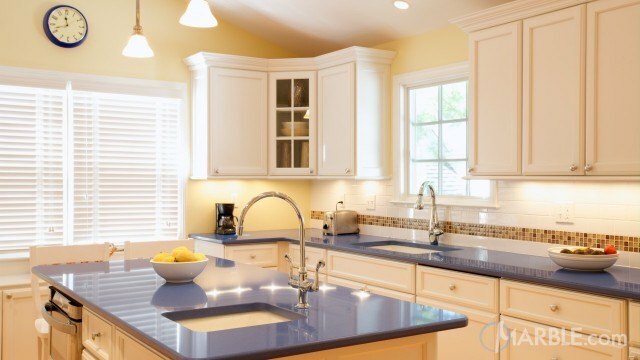 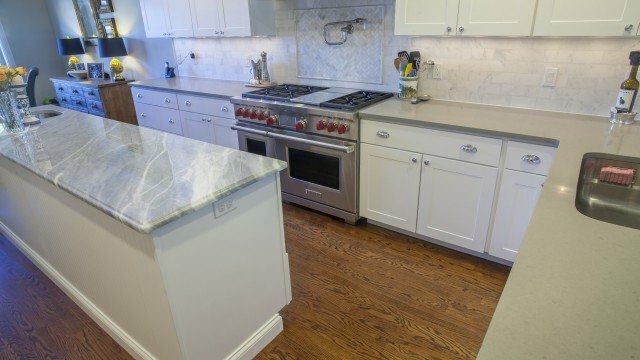 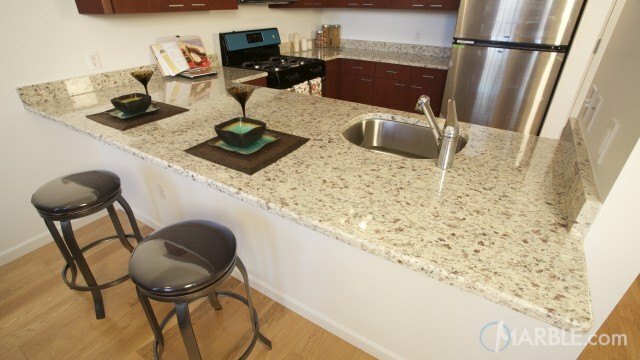 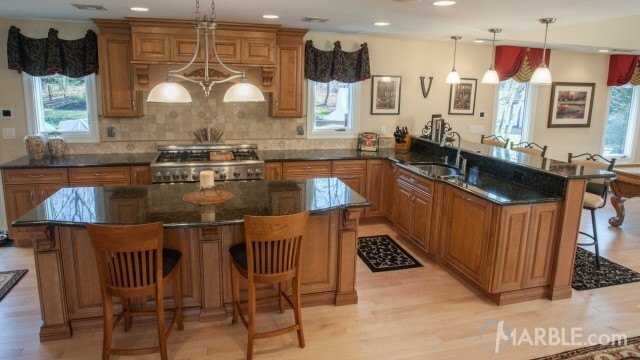 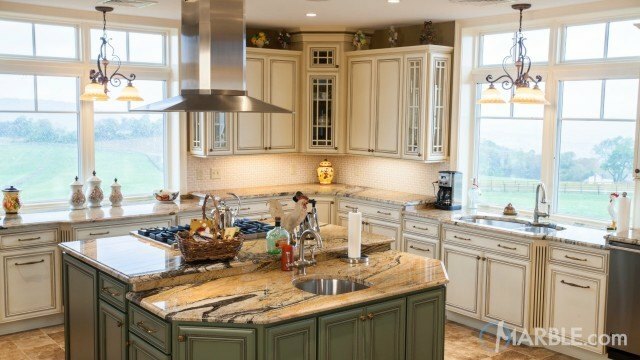 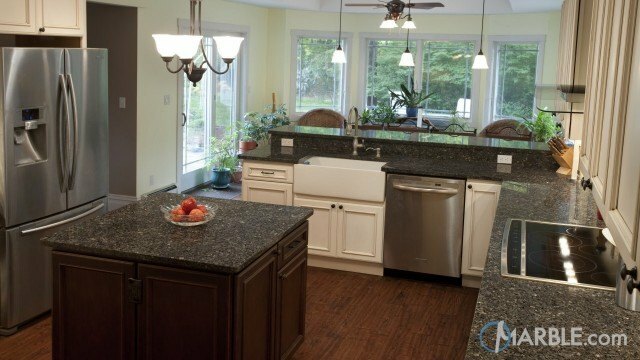 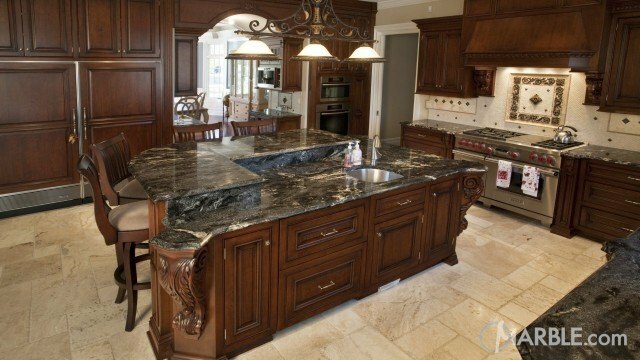 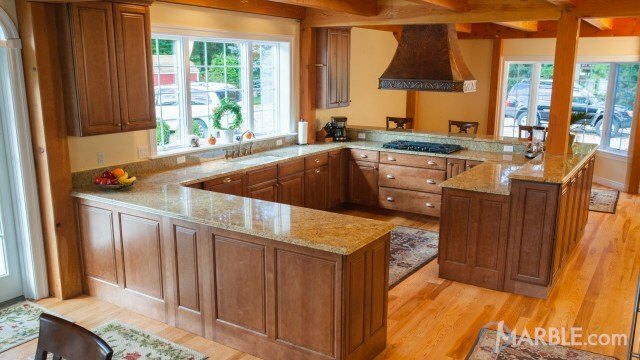 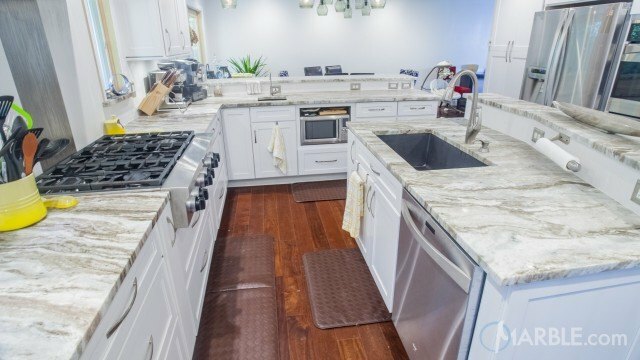 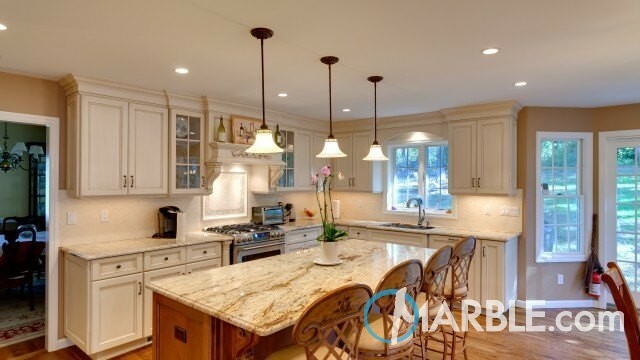 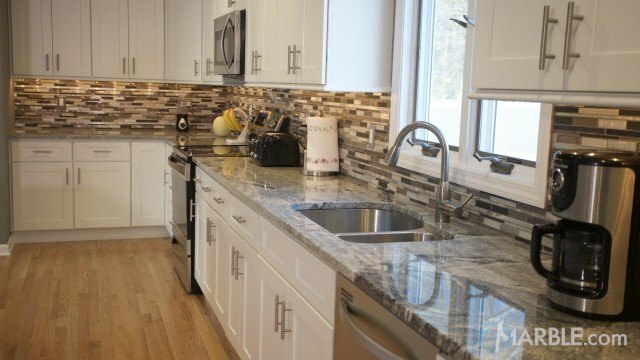 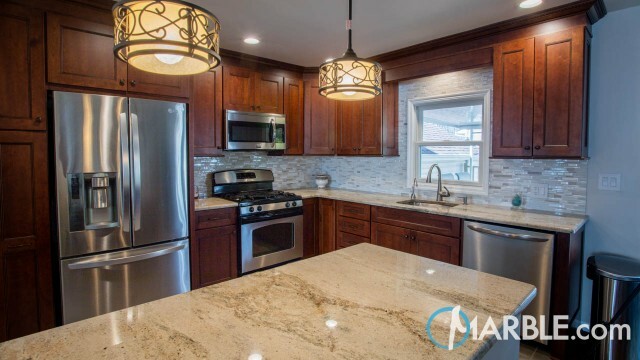 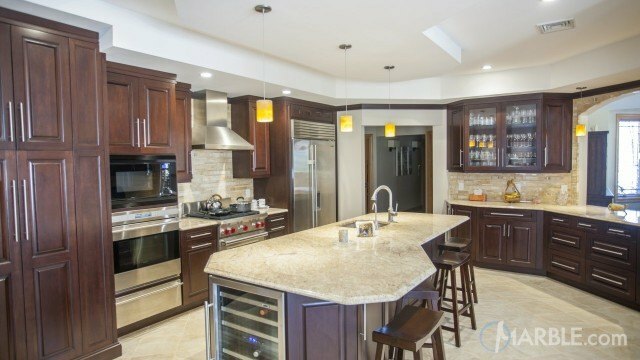 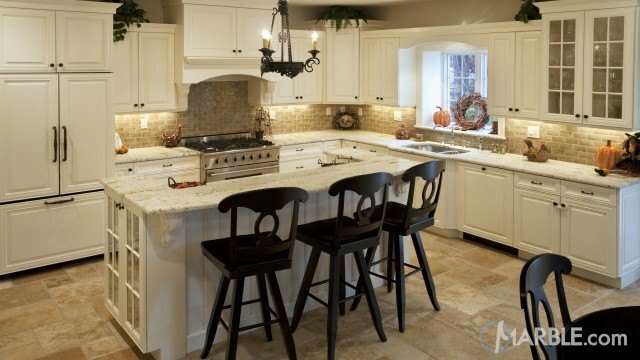 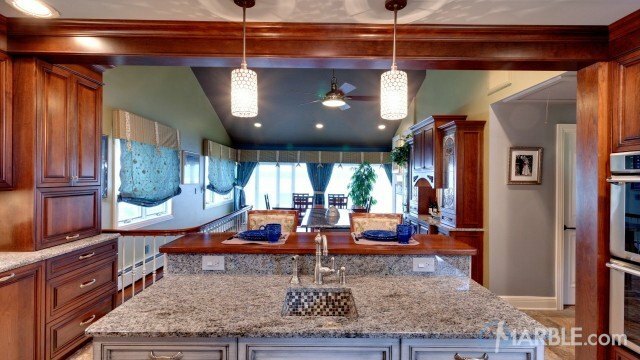 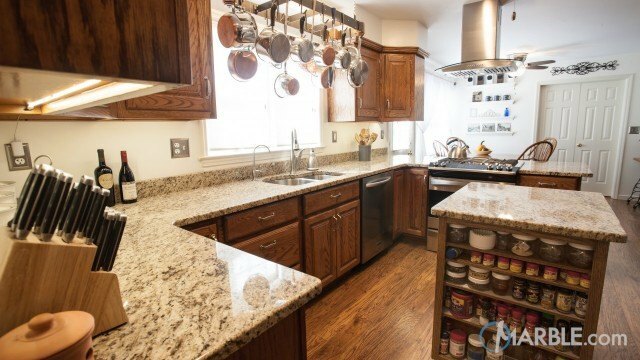 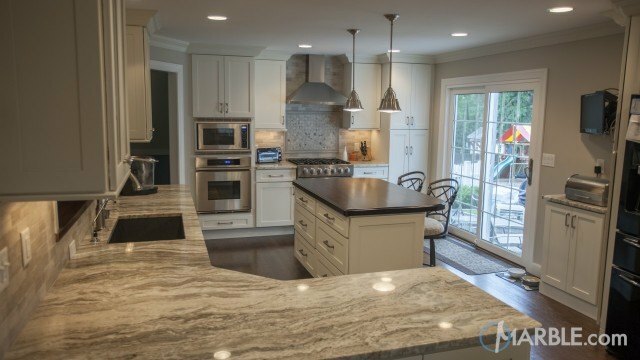 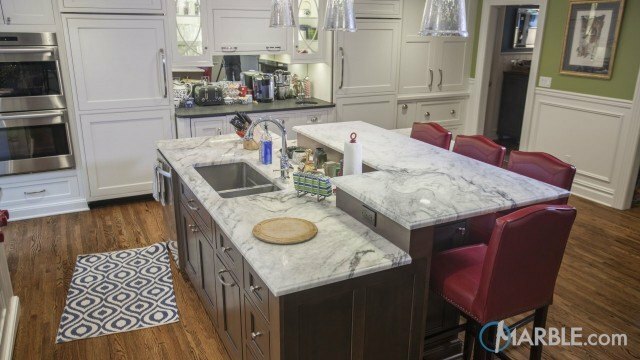 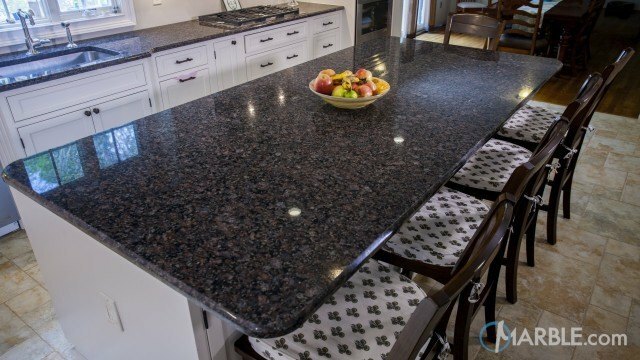 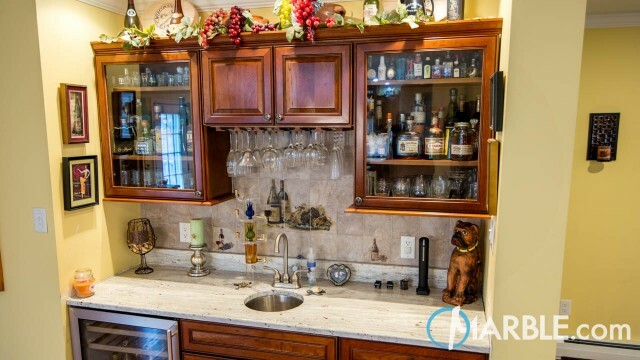 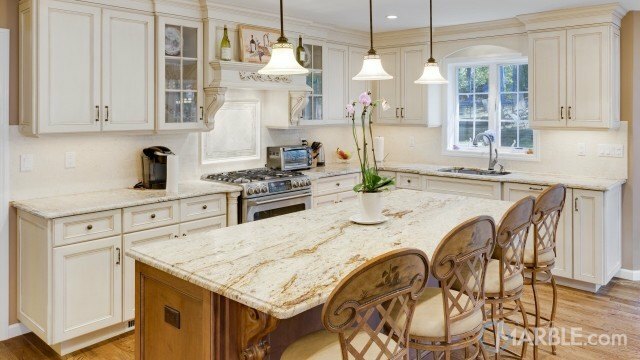 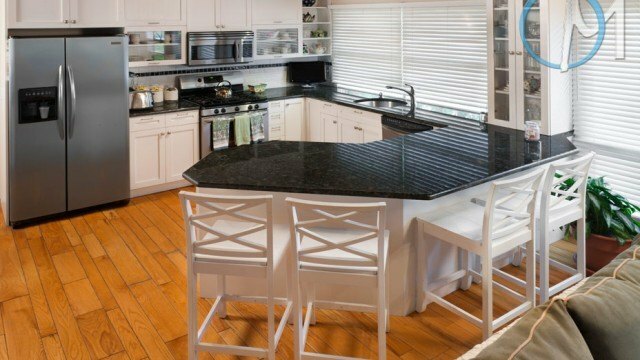 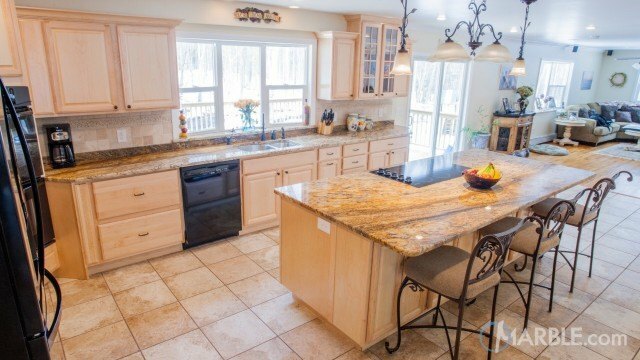 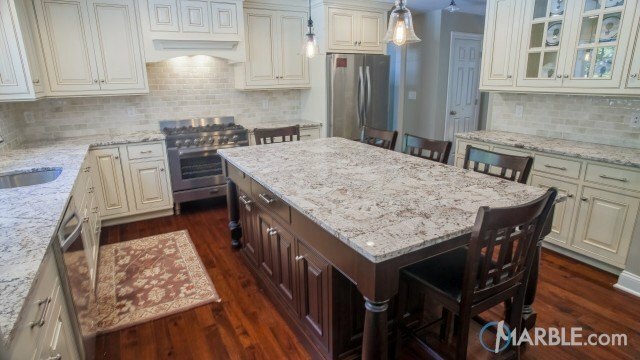 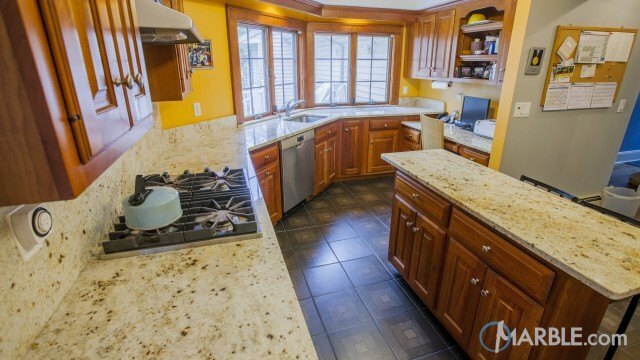 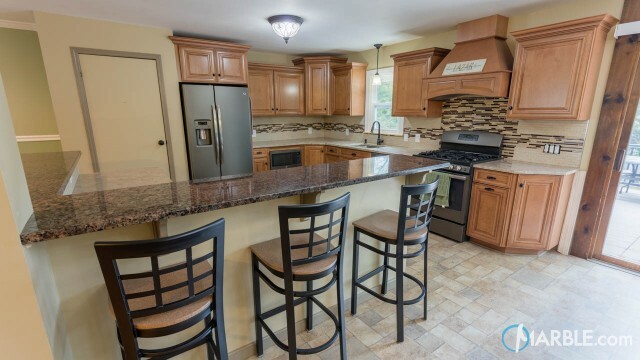 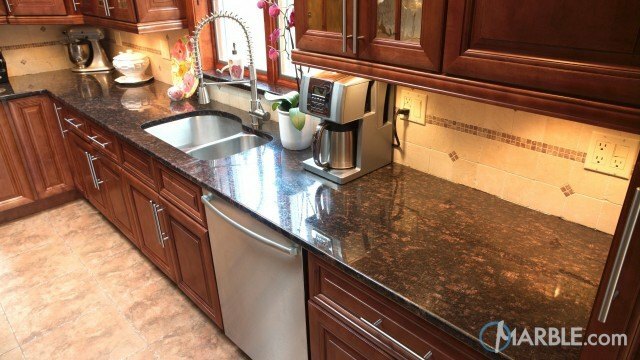 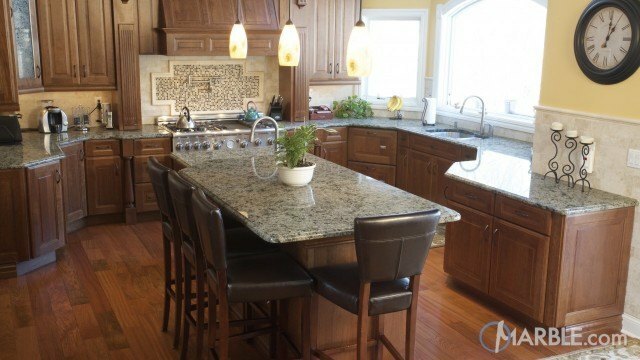 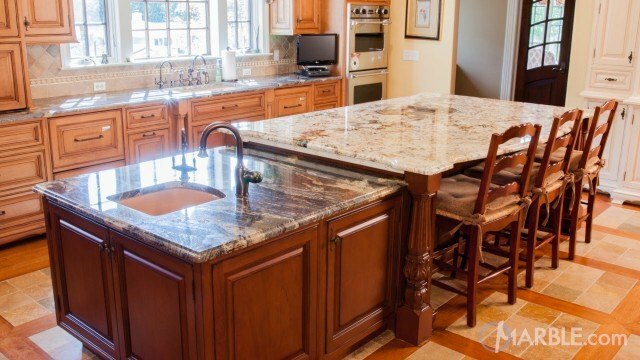 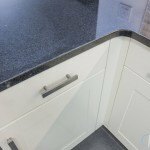 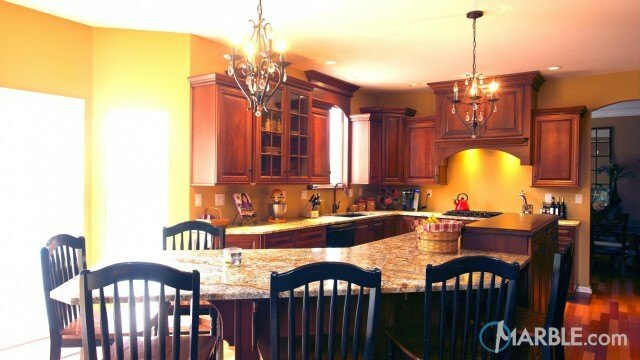 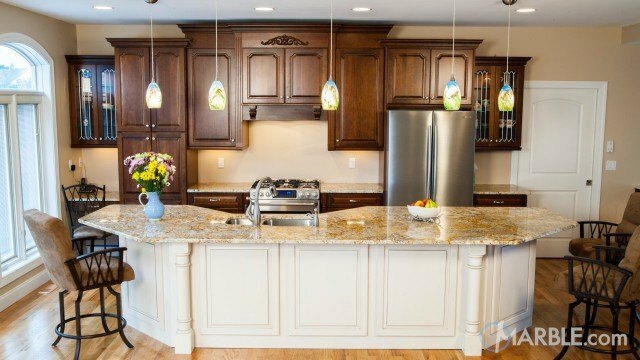 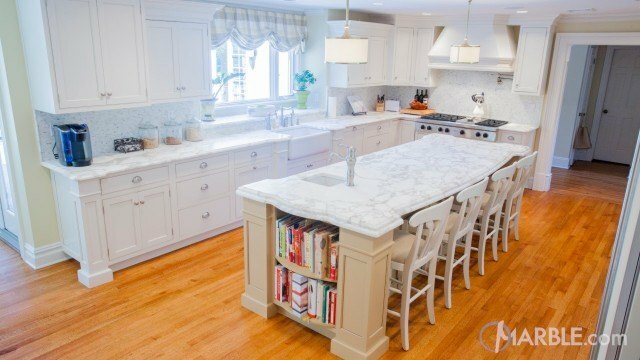 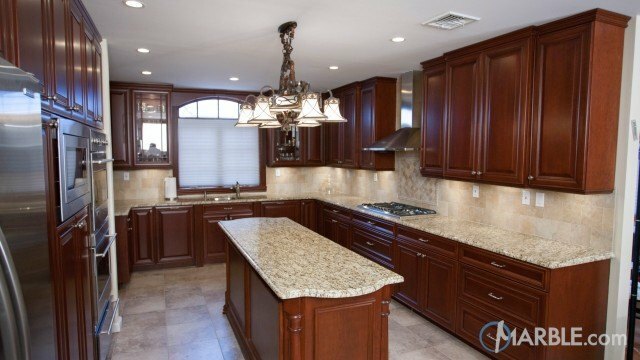 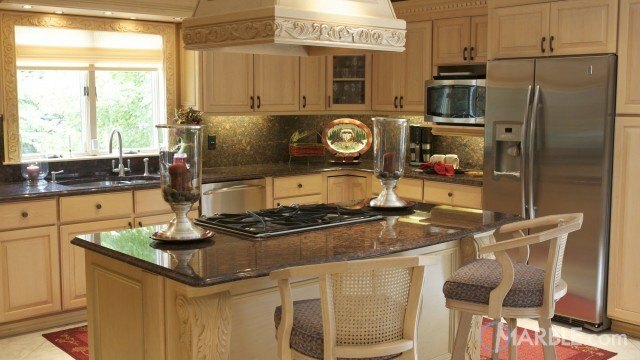 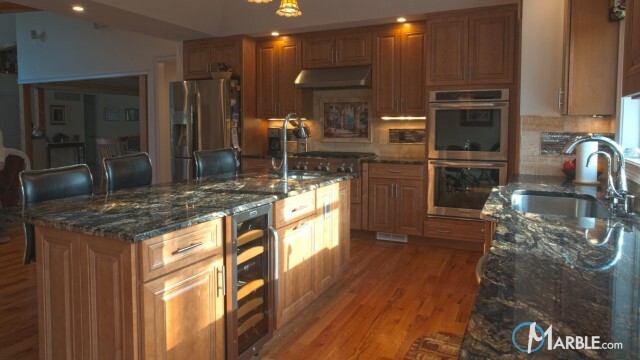 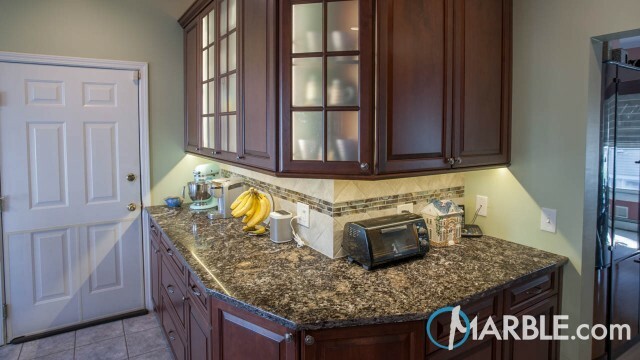 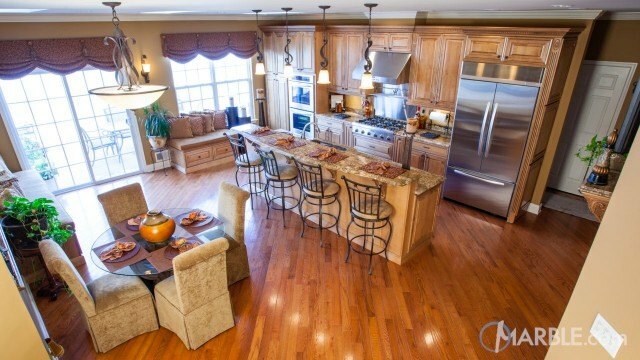 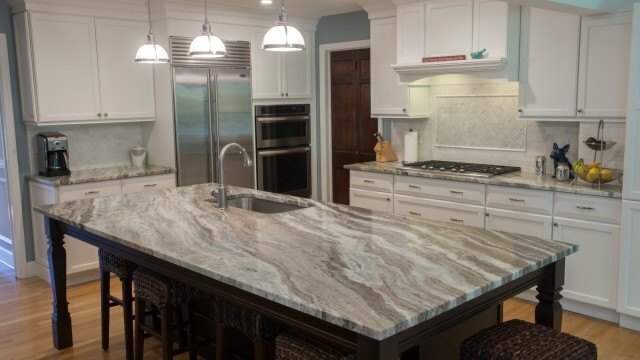 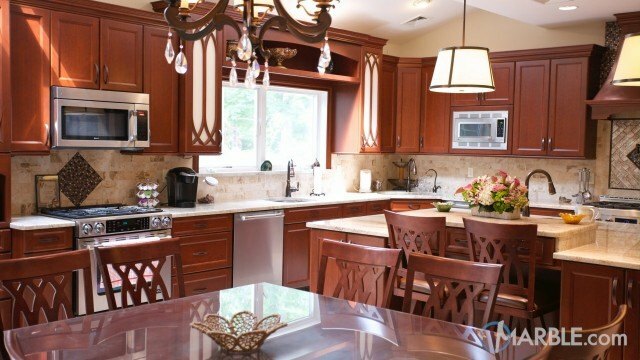 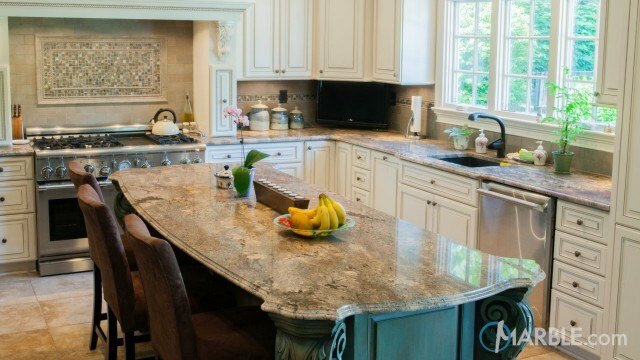 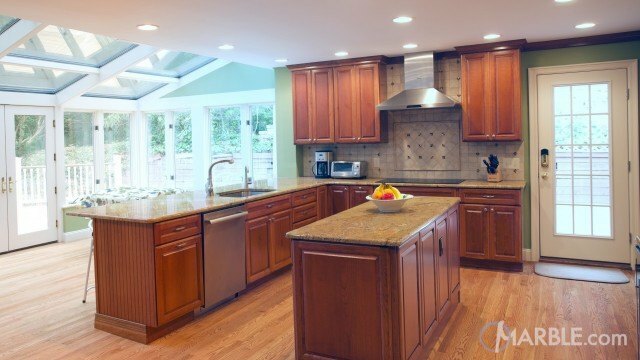 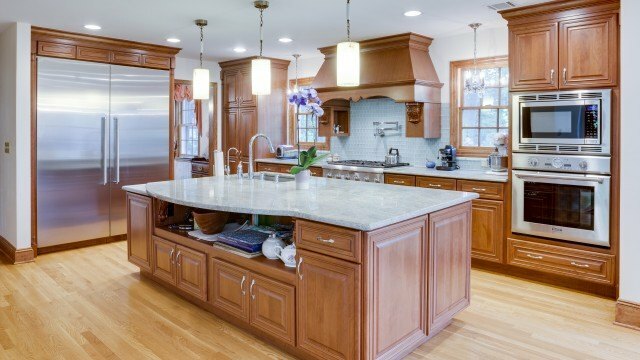 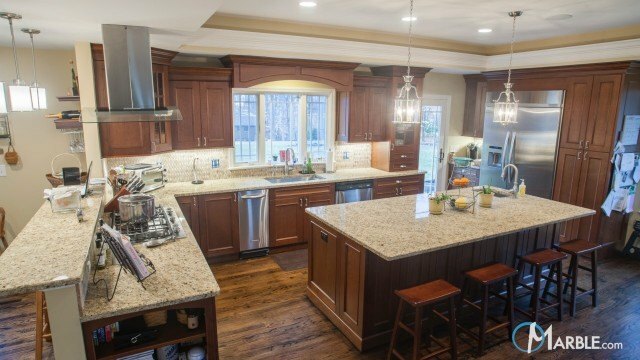 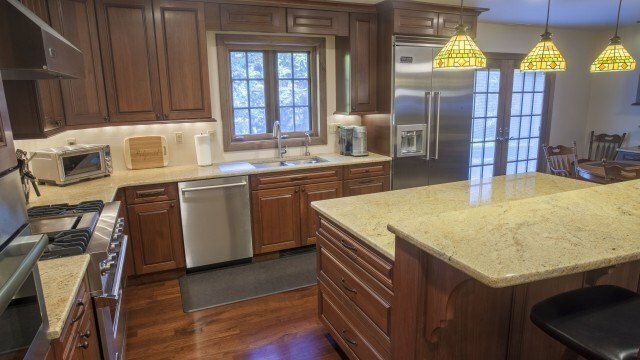 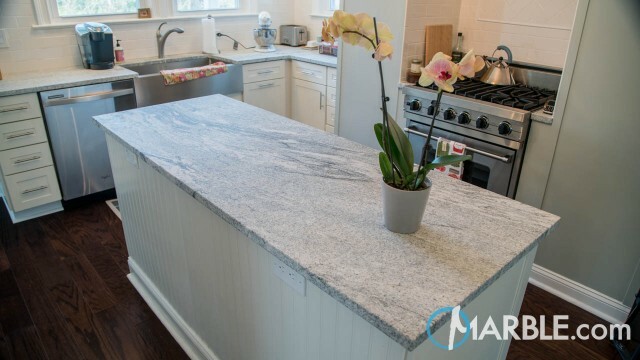 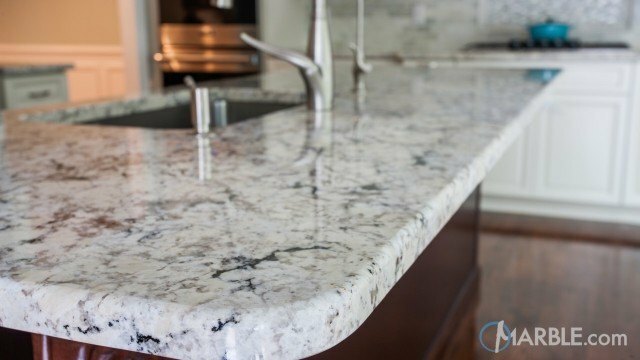 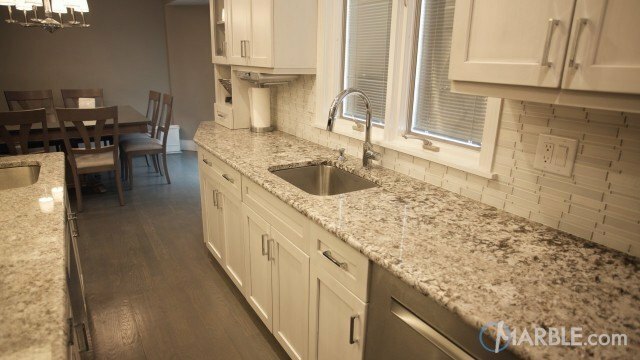 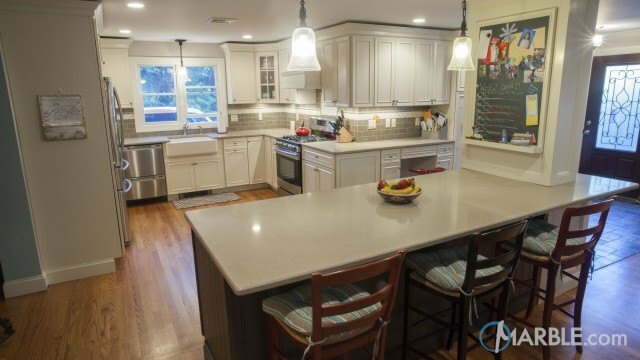 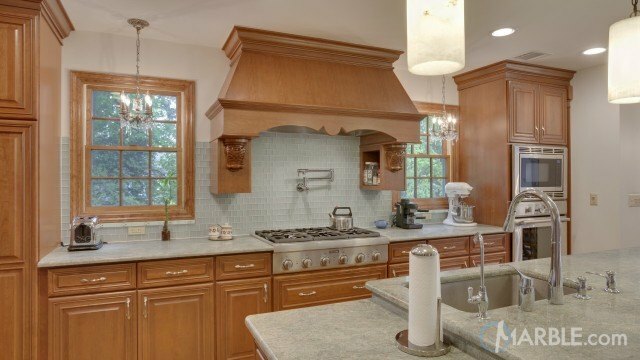 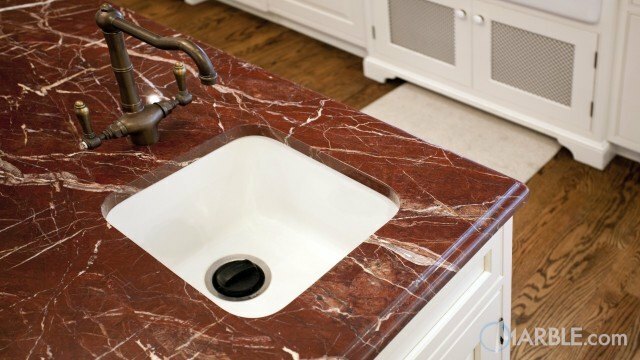 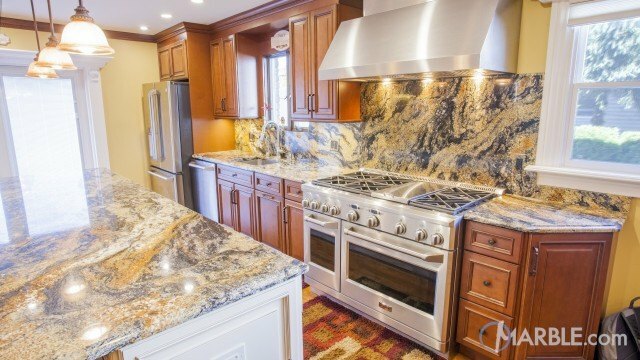 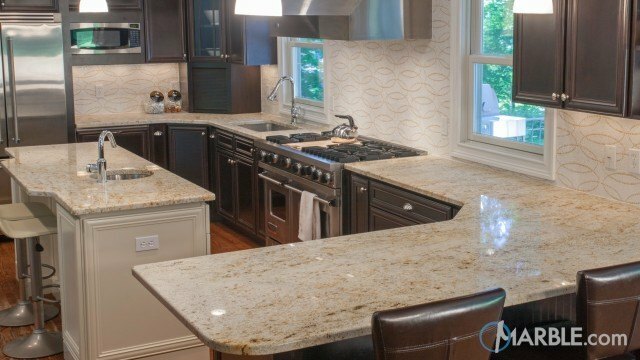 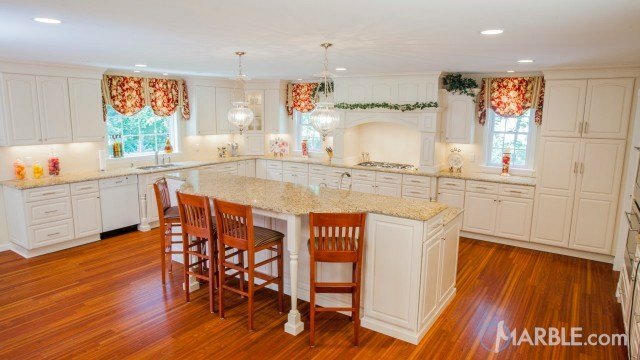 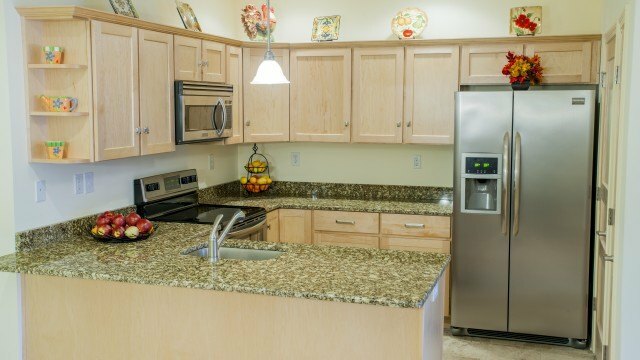 This granite is very consistent and durable making it a great choice for kitchens. 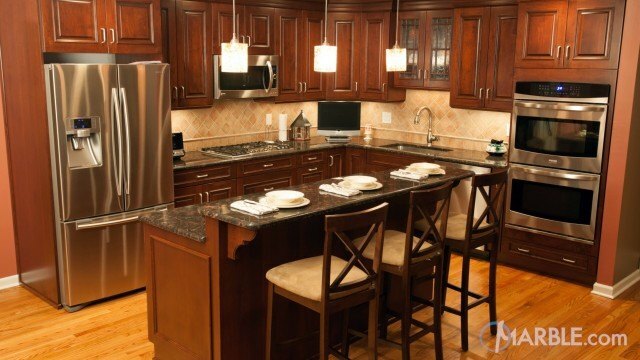 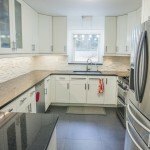 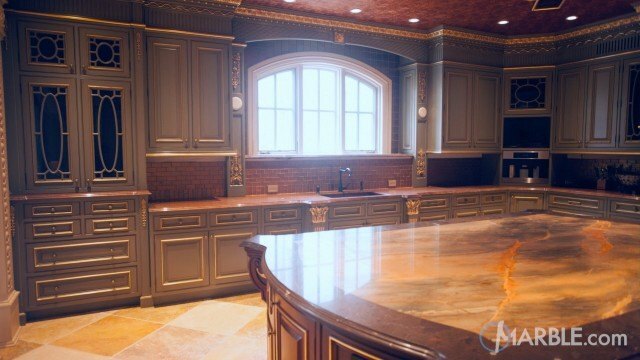 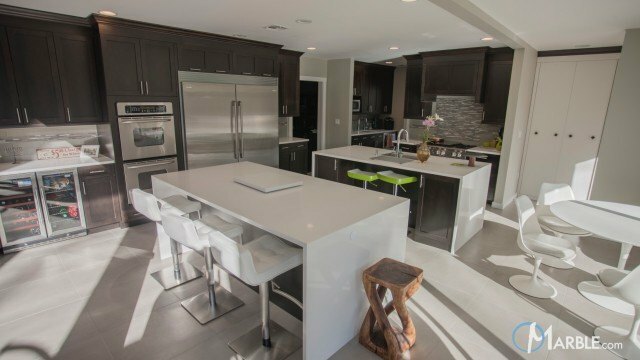 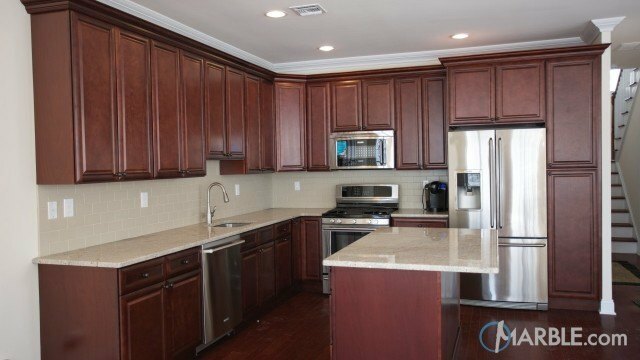 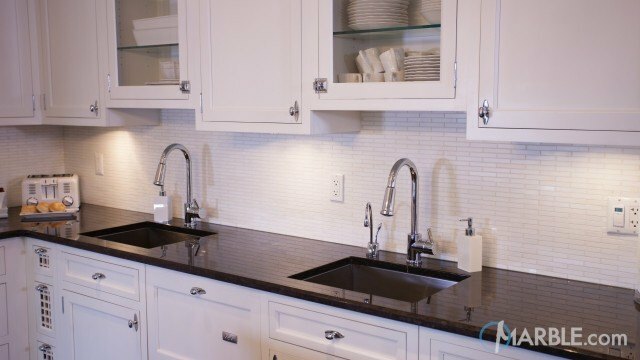 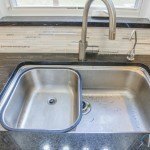 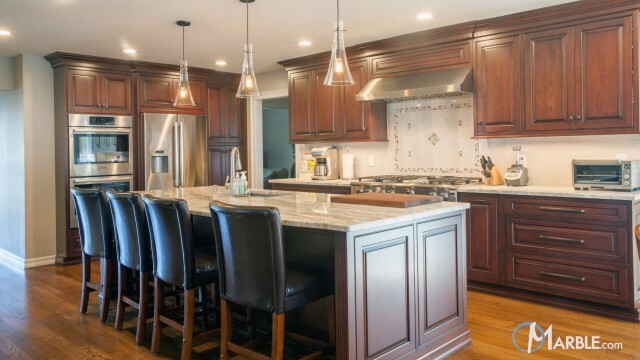 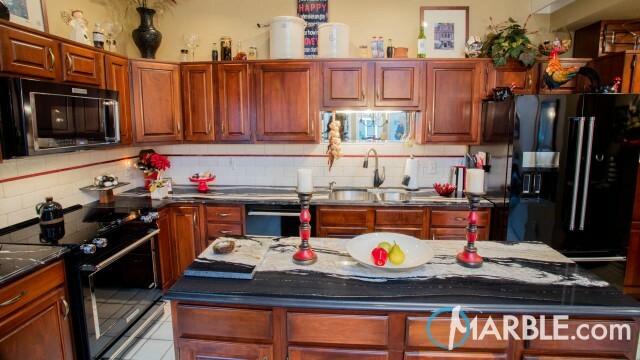 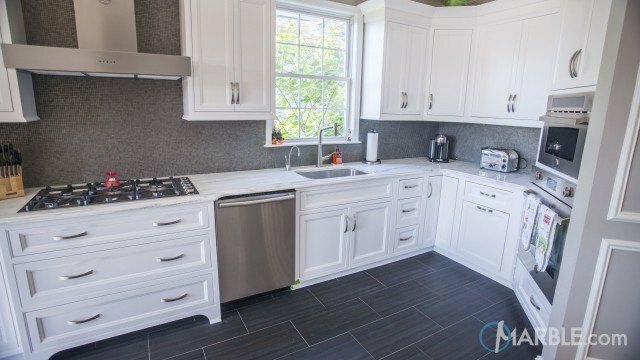 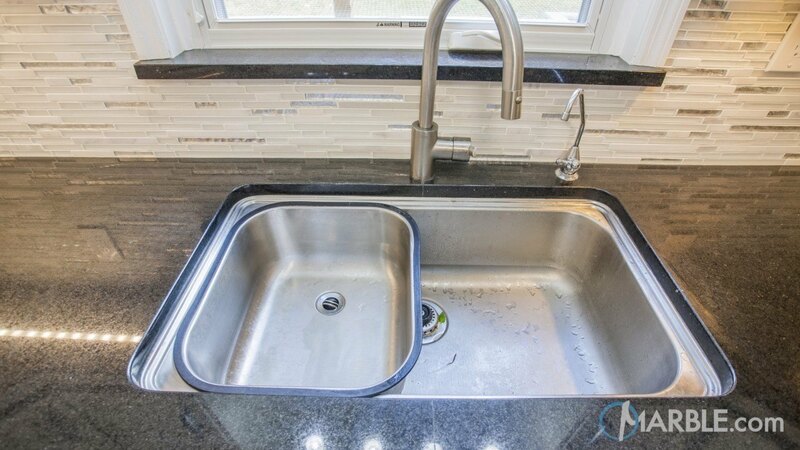 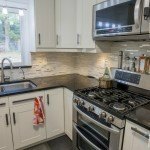 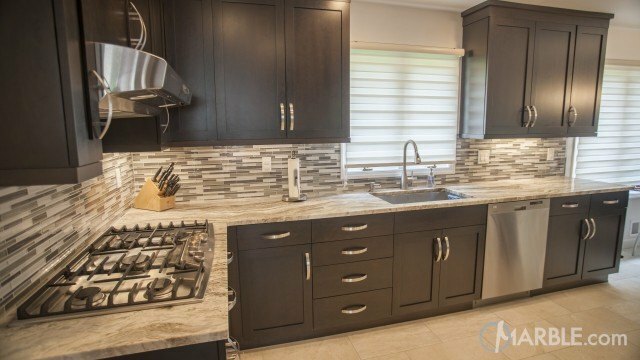 Black Galaxy is typically used against white cabinets as we see here. 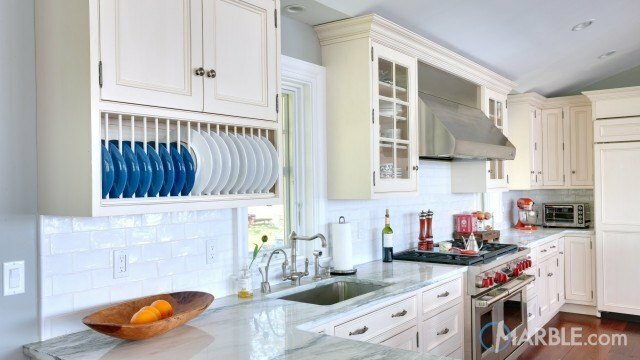 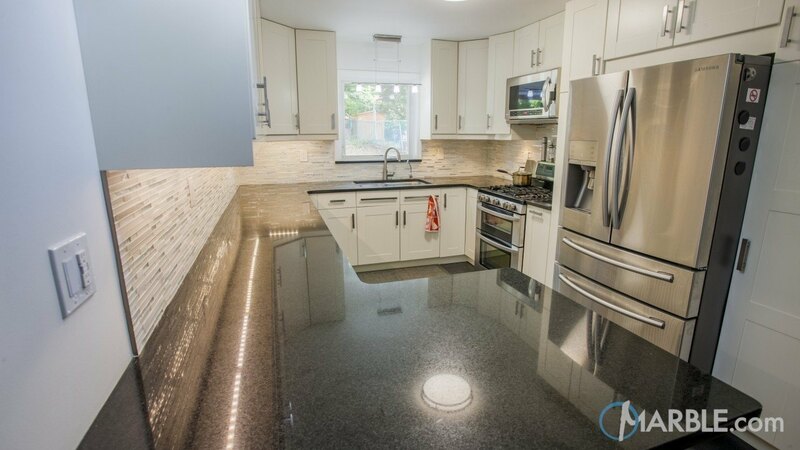 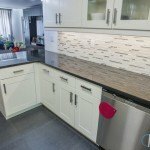 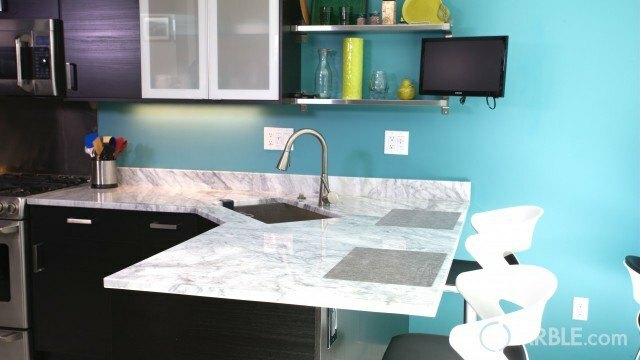 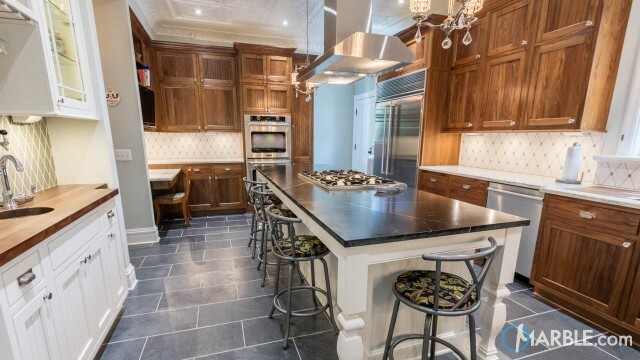 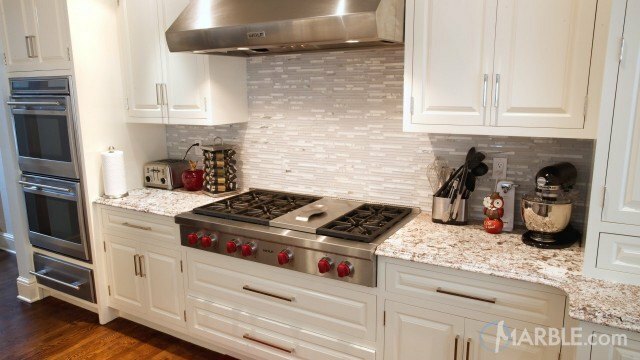 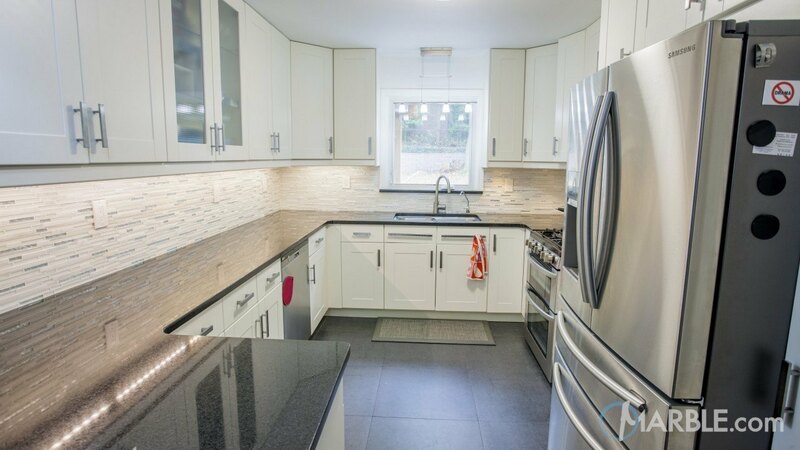 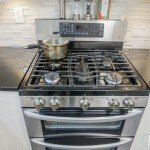 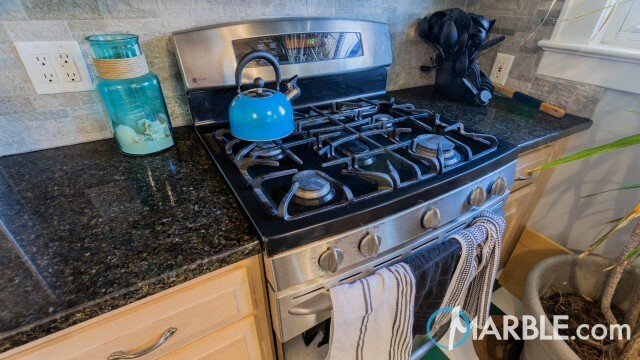 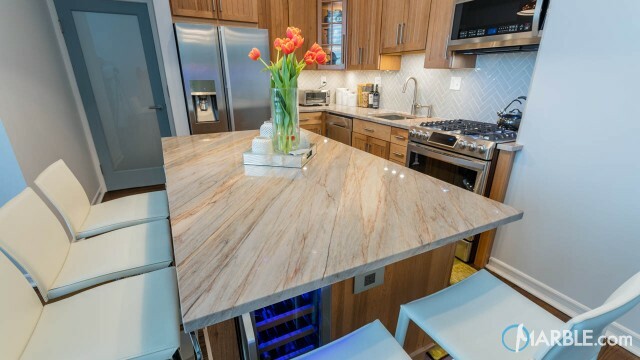 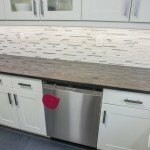 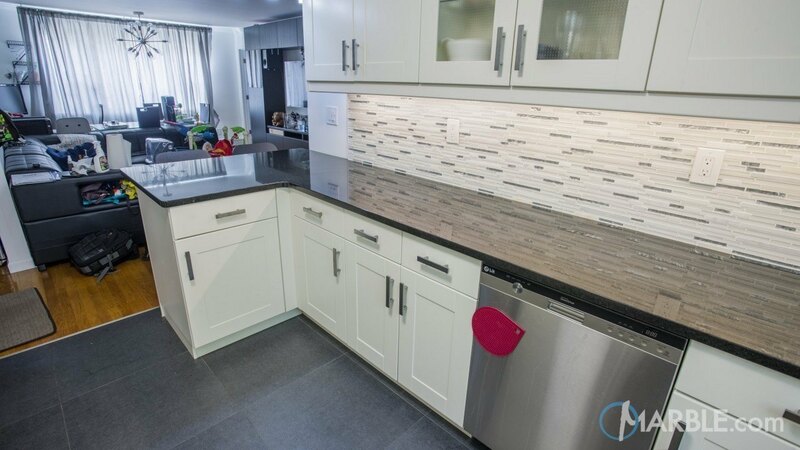 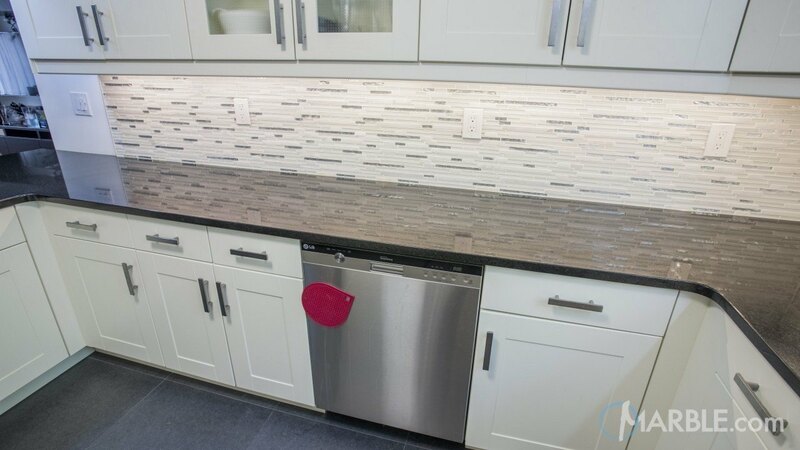 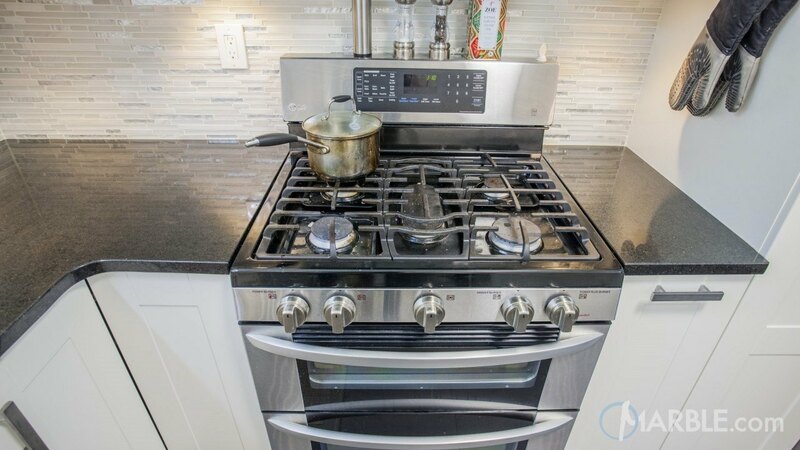 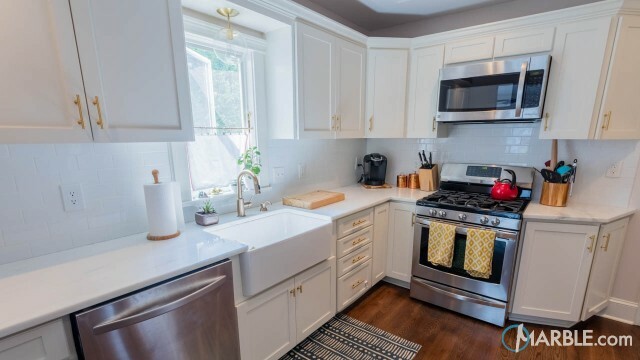 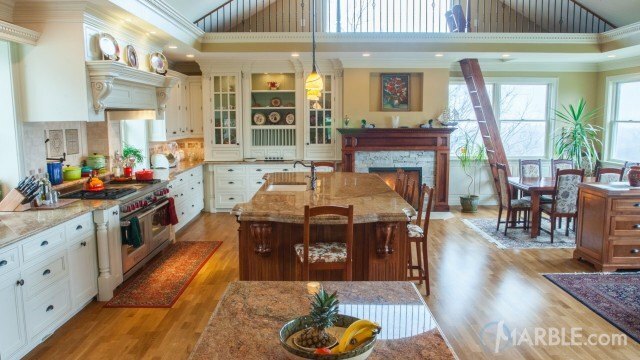 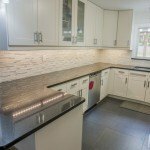 The addition of a modern back splash and modern hardware, with stainless steel appliances, creates a chic style.